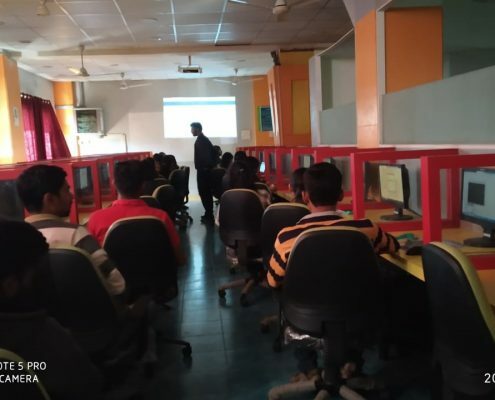 Aiming to provide an intense training on PYTHON programming language at postgraduate level for M.SC students and faculties, a five-day workshop was conducted from 5th to 9th Feb 2019. 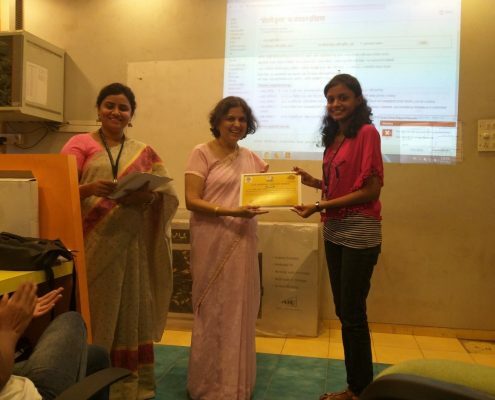 This certification program was conducted by Mr. Rohit Shende from VMWare technologies. After the completion of course, objective test were taken and those who qualified were presented with a certificate. Following are some of the glimpses of the session. Late. 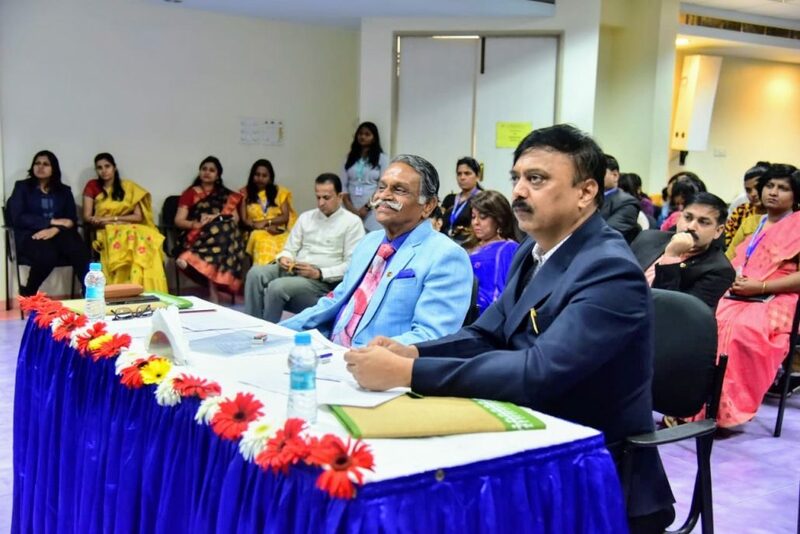 Shri Shankarrao Wakalkar Debating Competition was held at Indira College of Commerce and Science on 9th March 2019. Topic for the Competition-: Solution for Kashmir Conflict: Through Peace or War. 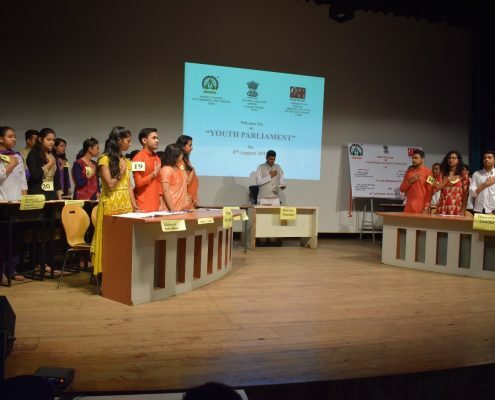 For this Competition total 47 teams were participated from total 24 different colleges affiliated to Savitribai Phule Pune University. 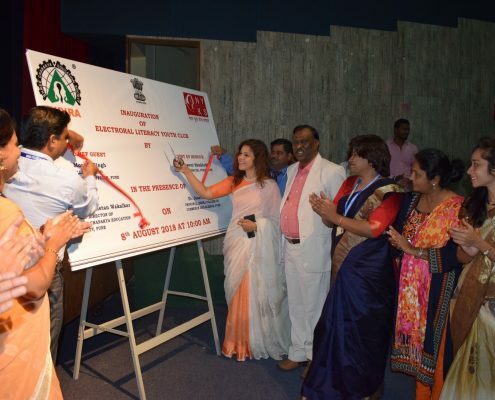 Competition was inaugurated by Ms.Sarita Wakalkar , Trustee SCES, Chief Guest Col. Vishwas Supnekar, Director, Centre for Disaster Management, YASHADA and Guest of Honor Brigadier S.K.Ambike, Director, Yashaswi Institute of Soft skills, in the presence of Dr.Tarita Shankar-Chairperson IGI, Prof. Chetan Wakalkar– Group Director, IGI, Dr.Janardan Pawar– Principal In-Charge, ICCS and Prof. Shivendu Bhushan– Vice-Principal, ICCS. Eminent Judges for the Competition. 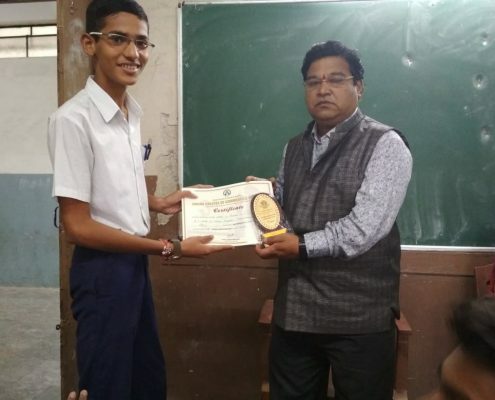 Winners of the Debating Competition were awarded with prizes. 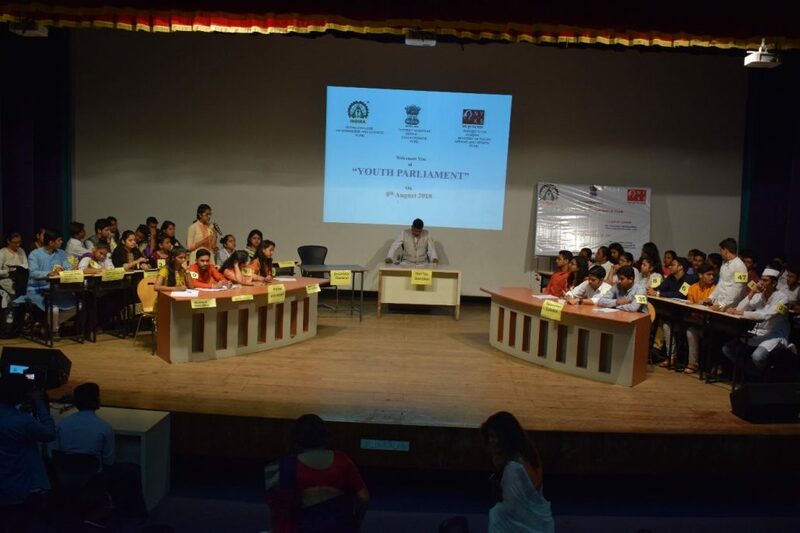 The students presented their opinions and views and it was a thought provoking debate. Amazon Web Services (AWS) Workshop. 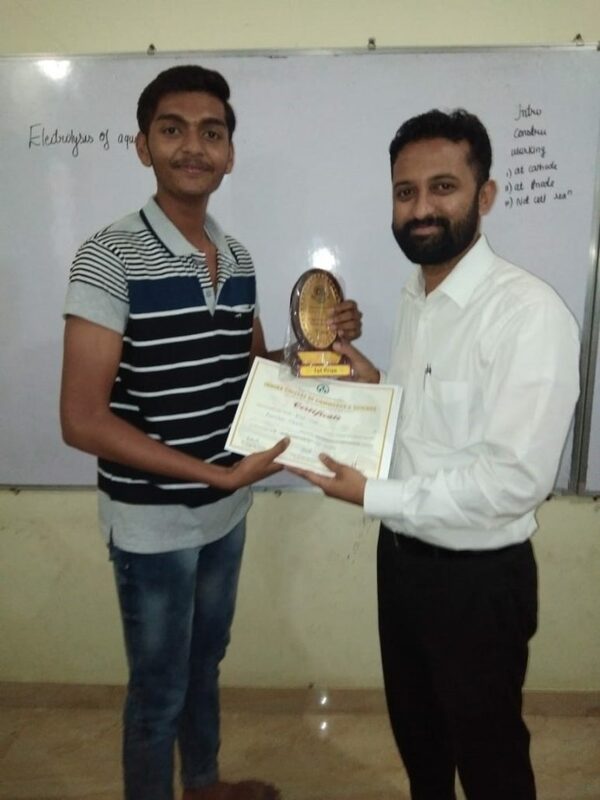 Certification Program on AWS which is a cloud services platform was conducted by our own Alumnus Mr. Imran Bagwan form PTC software. The 45 students from M.Sc. 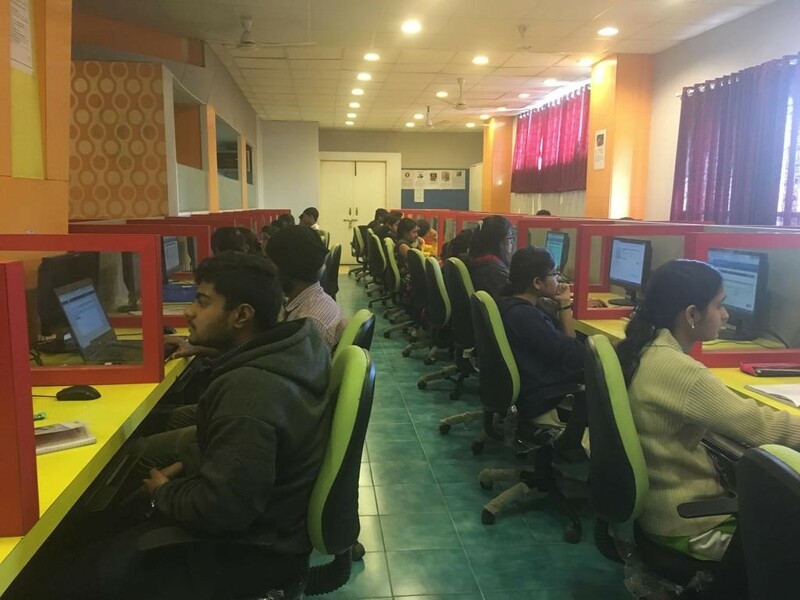 Comp.Sci.have created their own AWS account under AWS educate program and learnt about Virtual Machines (Compute), Storage service and messaging etc. 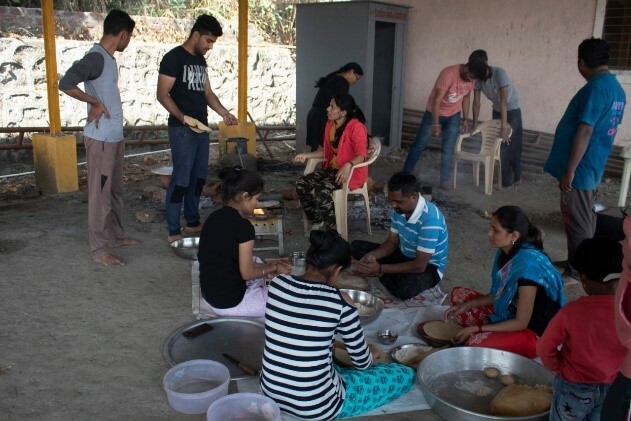 The above mentioned workshop was conducted from 24th to 29th January 2019. After the completion of course, objective test were taken and those who qualified were presented with a certificate. 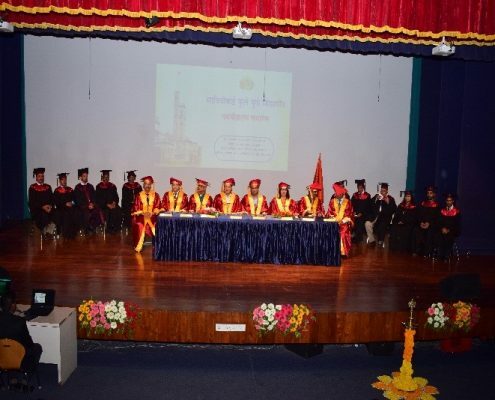 The Graduation Ceremony of Shree Chanakya Education Society’s Indira College of Commerce and Science, Indira College of Engineering and Indira College of Pharmacy was held on Tuesday, February 12, 2019 at Dhruv Auditorium, ICCS, Wakad, Pune. The Chief Guest for the ceremony was Mr.Ramchandra Honap, HR Head, Force Motors. 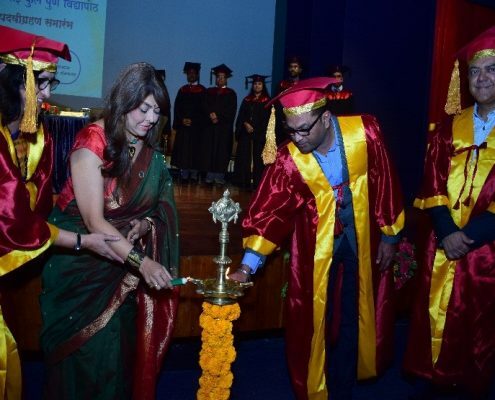 The function was marked by the presence of Dr.Tarita Shankar, Chairperson IGI, Prof Chetan Wakalkar, Group Director IGI, Directors of the institutes and Principals of the three colleges. The ceremony started with academic procession walking into the auditorium, with the band playing in the background. 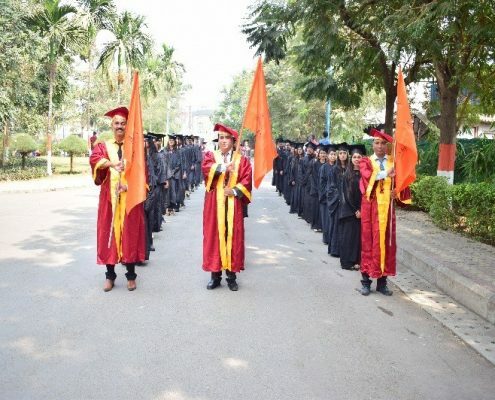 The procession in march included the CEO, College toppers, NSS P.O., SWO, Sports Director, Chairperson, Group Director, Principals, Vice Principals and HOD’s. 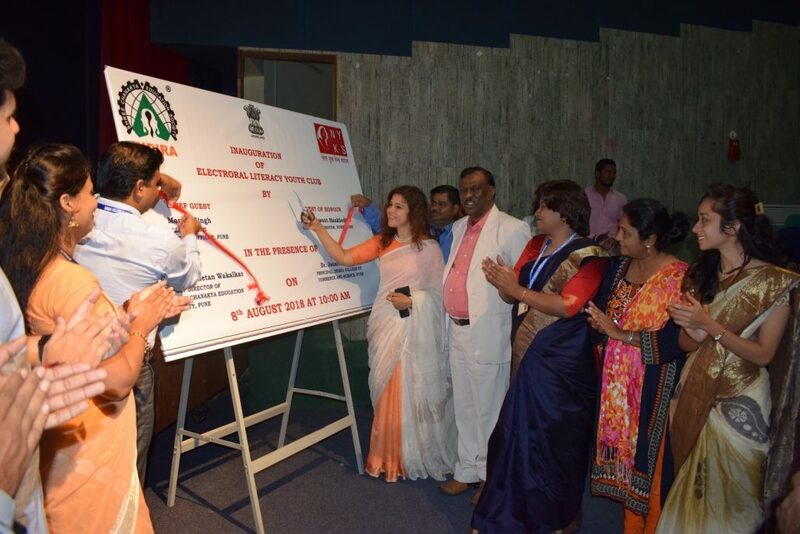 It was followed by lighting of the lamp by the dignitaries. Dr Anagha Joshi, Principal,ICP welcomed the gathering. 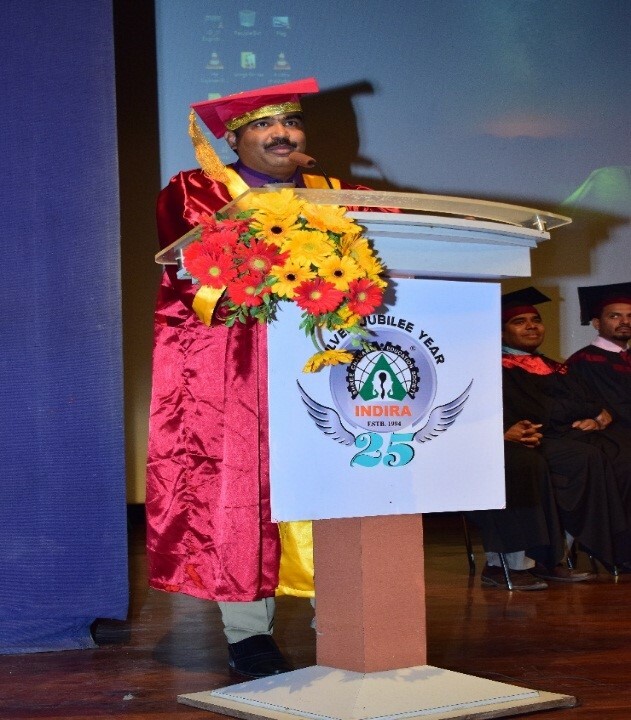 Dr.Sunil Admuthe, Principal ICEM also wished the students in their future endeavors. 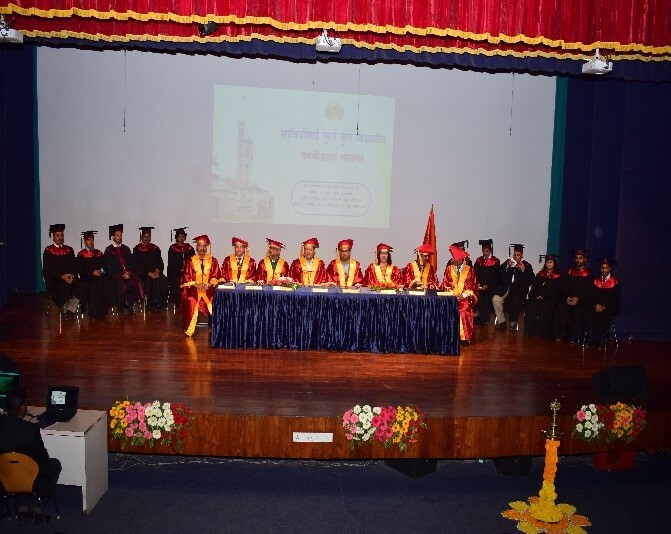 The Chief Guest Mr.Honap in his convocation address focused on the importance of being a committed, socially responsible human being and professional. 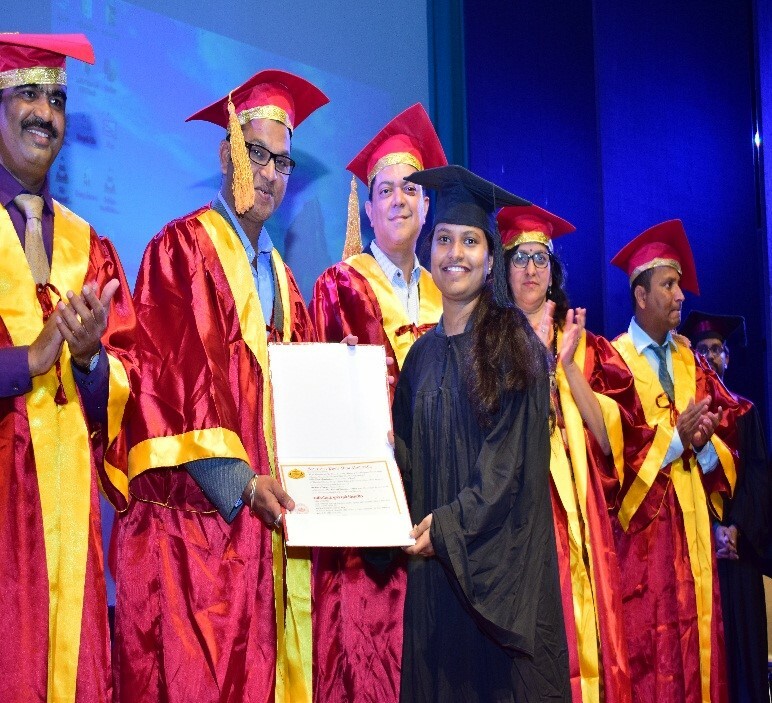 Dr.Tarita Shankar and Prof Chetan Walkalkar shared motivating words of wisdom with the passed out graduates. 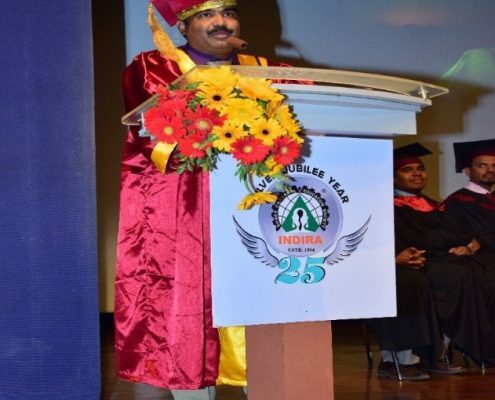 The penultimate vote of thanks by Dr.Janardan Pawar, Principal ICCS was followed by the distribution of awards and degrees to the graduates. The function ended successfully with the National Anthem. 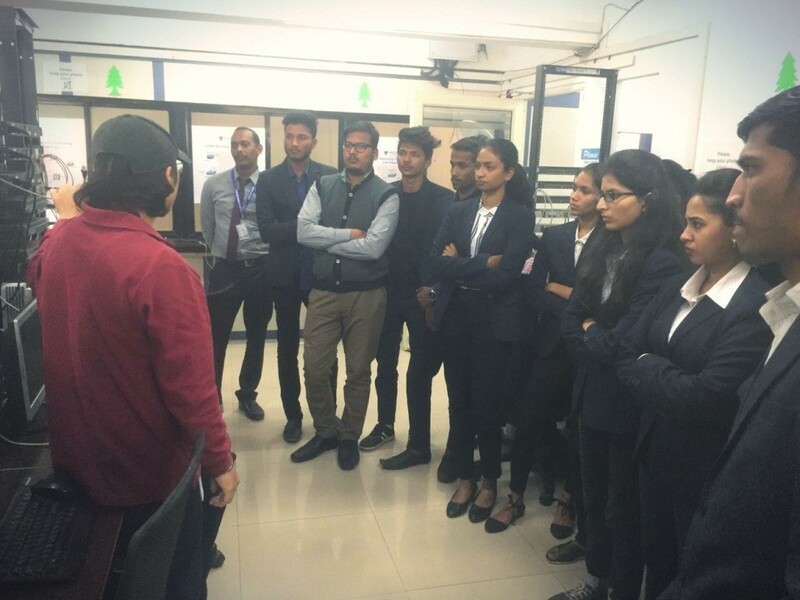 As a part of curriculum, SY BBA(CA) & TY BBA(CA) Students visited the company I-Medita, Pune. Total 91 students along with 3 faculty members visited the industry. 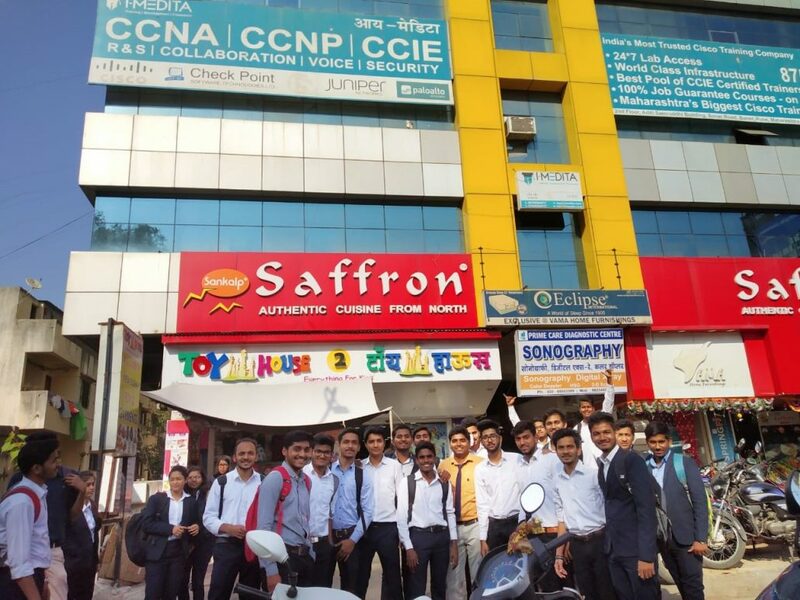 Students got the theoretical as well as practical knowledge of networking, Learnt a lot of the working process of various networking components and their uses. I-Medita, is an ISO 9001:2008 certified Training, development and placement Company registered by Ministry of Corporate affairs as an Educational Service Provider. I-Medita is also a Cisco Registered Partner. They help in providing industry oriented skilled training to students and professionals to kick start their career in various domains. Their efforts are to keep momentum with the Industry technological demands and diversifying universe of knowledge. 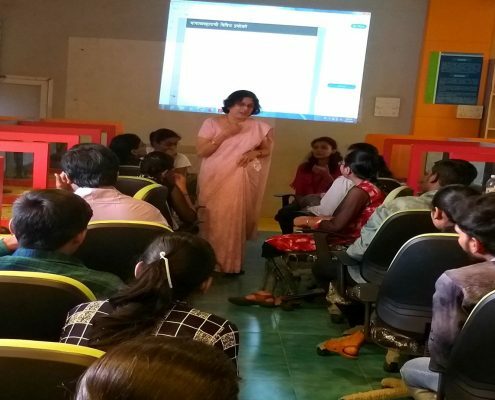 Students were gaining in-depth knowledge via these sessions. There were 2 sessions during the visit. > Clearing the miss conception regarding the networking. > Telling about the CISCO. > Difference between networking industries and other industries. > What is the scope of networking and why? A small refreshment break has given. > A lab visit will be given to the students. > Practical’s are performed by the trainers. > Hands-on practical’s will be done by students on simulators. > Finally they conclude the sessions telling the students that how they can make the career in networking. 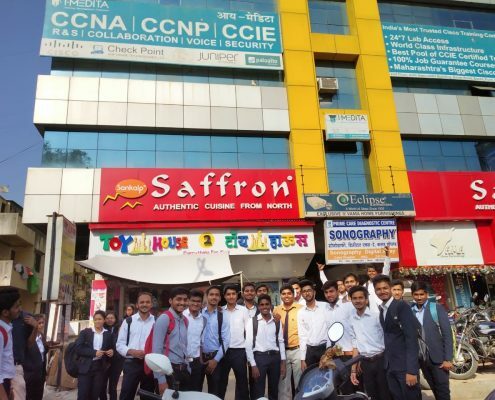 Role of Network Engineers in companies like Airtel, Vodafone, HCL, Accenture, etc. 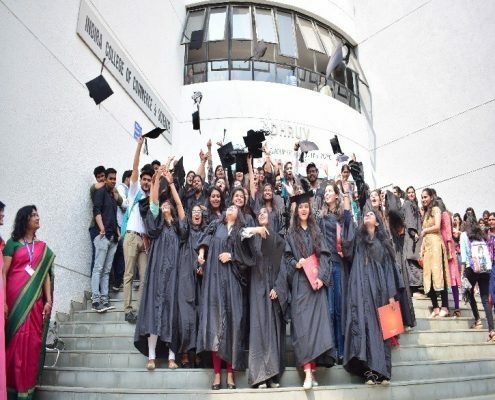 Why B. Tech/ B. E. Students are preferred in Networking Field? 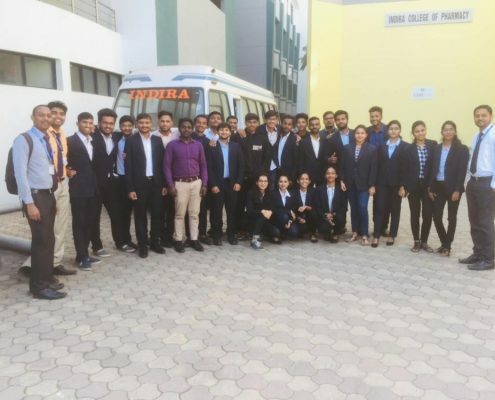 28 students of TYBSc (Computer Science) Div-A and 28 students of TYBSc (Computer Science) Div-B visited I-Medita, Baner on 11th Dec 2018 and 27th Dec 2018 respectively. I-Medita, is an ISO 9001:2008 certified Training, development and placement company registered by Ministry of Corporate affairs as an Educational Service Provider. I-Medita is also a Cisco Registered Partner. 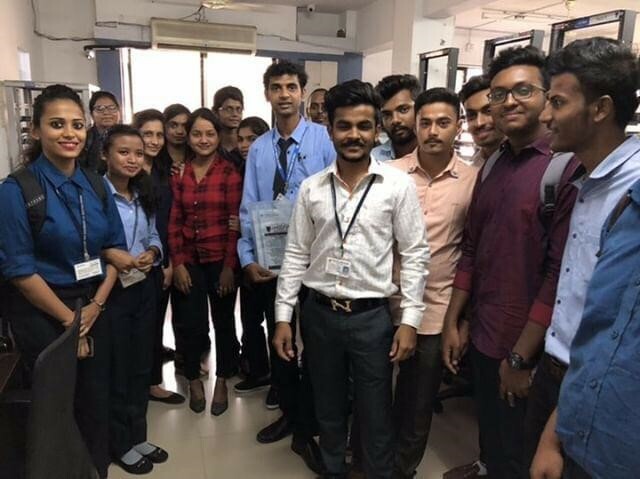 I-Medita is considered as India’s Most Trusted Cisco Training Company and offer Training program on CCNA R&S, CCNA Security, CCNA Collaboration, CCNA Service Provider, CCNP R &S, CCNP Security, CCNP Collaboration, CCNP Service Provider, CCIE R&S, CCIE Security V5, CCIE Collaboration, and CCIE Service Provider. 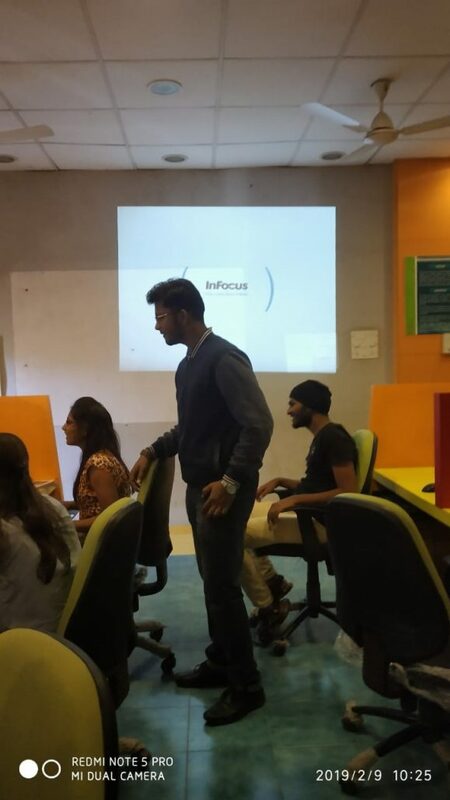 The visit was conducted by Mr. Piyush Kumar – Executive – Training and Development. Mr. Piyush addressed students about the networking and security domain and explained how networking domain plays an important role in information technology sector. 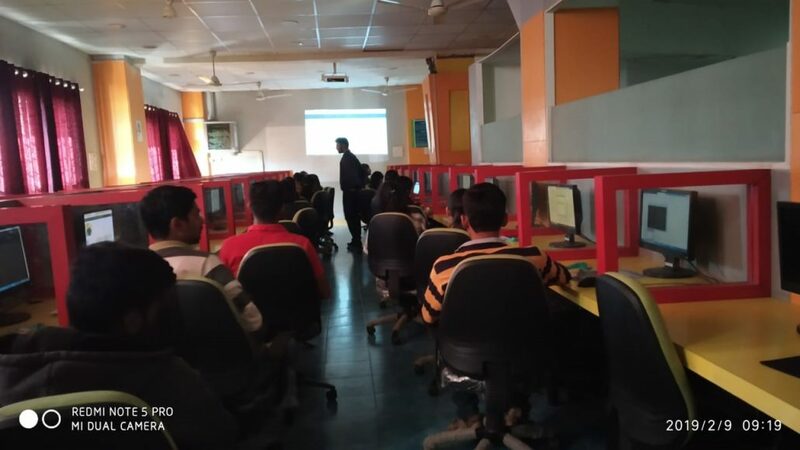 He taught basic network terminologies and cited few examples of latest technologies and devices used in networking. He also guided students regarding career opportunities in networking and security domain. After 3 hours of classroom session, students visited networking labs for practical demonstration. 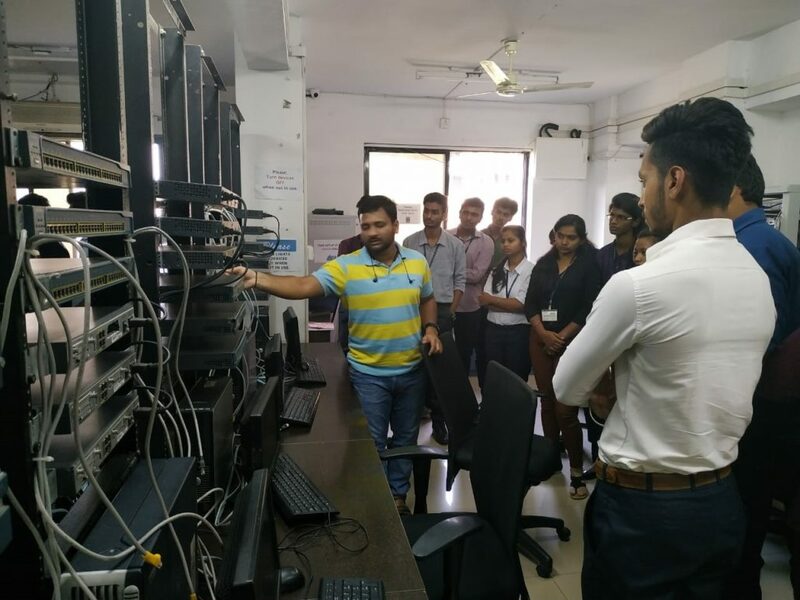 Trainers of I-Medita has given an in-depth practical demonstration of several latest networking devices like Ethernet switches, Firewalls, Routers, devises used for performing VOIP etc. 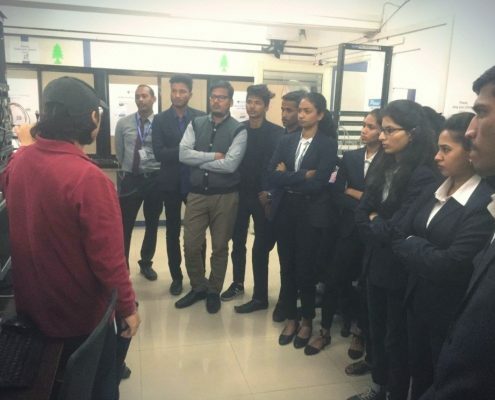 During practical demonstration of networking labs students posed many questions and had a great experience by getting clarified and qualified answers from the trainers of I-Medita. 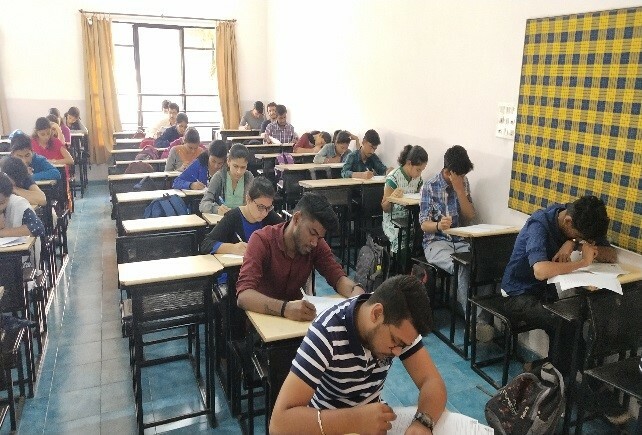 NCAT First Round conducted on 22nd March 2019 at 10am to 12pm at Indira College of Commerce and Science. 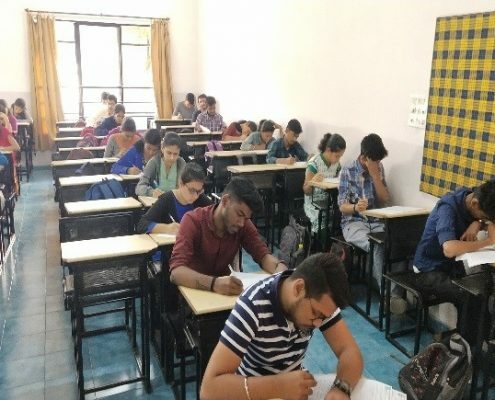 Total 35 students participated from B.Sc , M.Sc Computer Science and BCA from ICCS for Round 1 examination from category 1, 2 ,3 and 4. 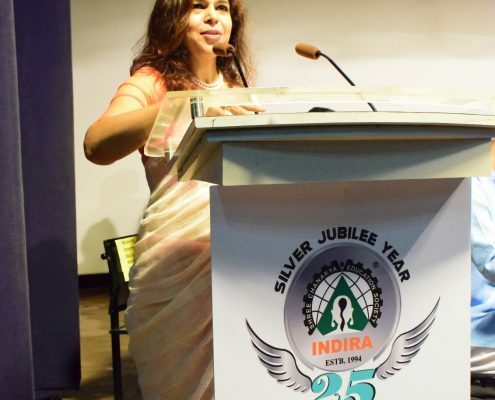 GUSTO XII 2K19 IN THE Silver Jubilee Year of Indira Group of Institutes started with an unprecedented josh and vigour on February 21,2019 at Dhruv Auditorium, ICCS, justifying the tagline of the fest “GUSTO SQUAD: HOWS THE JOSH”. 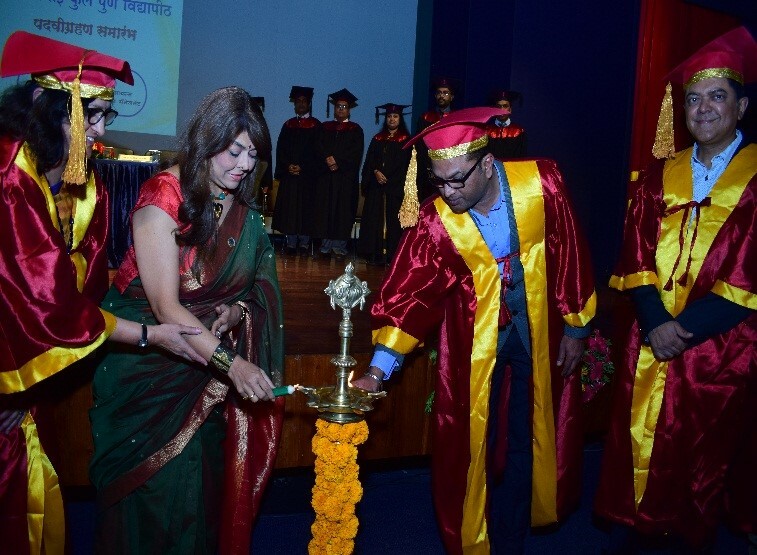 The ceremony was inaugurated and graced by the presence of the Chairperson Dr. Tarita Shankar, Group Director Professor Chetan Wakalkar, Trustees, Directors, Principals, HODS and faculties of the entire IGI group. 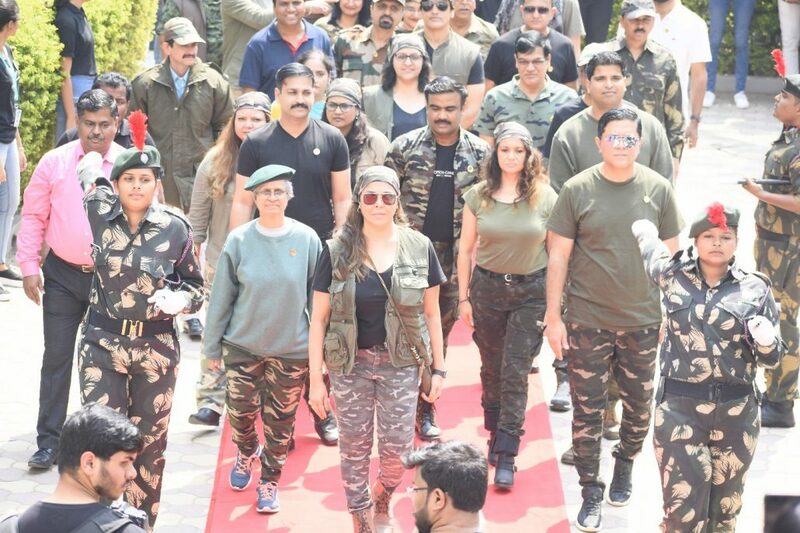 It was dedicated to the unconditional service of the brave soldiers to the nation and the equally patronizing performances by the students validating the theme powerfully. Day 2 of Gusto 2k19 opened with a new josh, vigour and passion. Competitions like Management Quiz, Indira Idol, Persona Hunt, Solo Dance, Blue Prints, made Gusto a vibrant mélange, testing the powers of mind and body. February 23,2019, last day of Gusto went down in the annals of IGI history as most memorable for the spirit, exuberance and style it displayed. 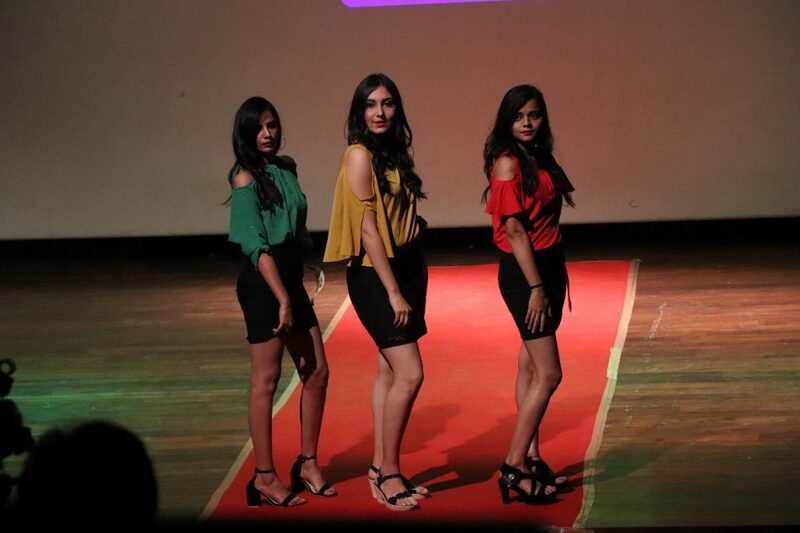 The Valedictory saw the fashionistas walking down the ramp in their stunning attires as part of La Bela. 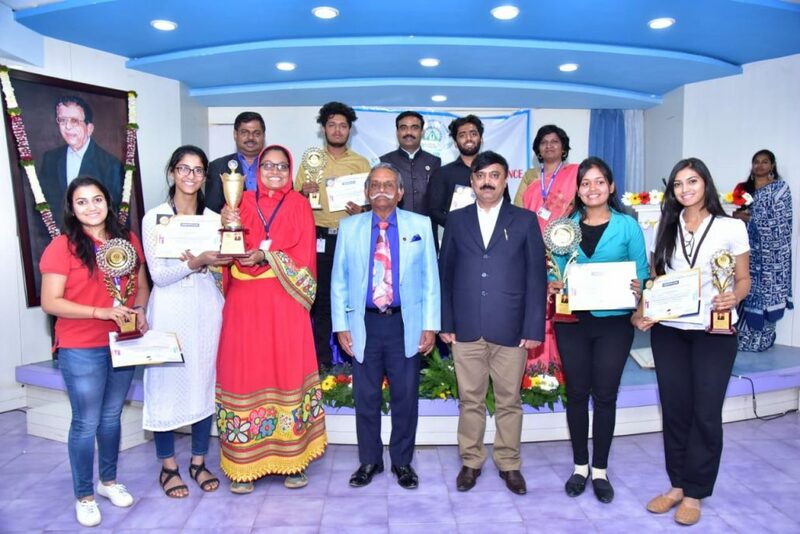 The prize distribution ceremony, marked by the presence and aura of IGI Chairperson Dr. Tarita Shankar, Group Director Professor Chetan Wakalkar, dignitaries and celebrity guest Anushka Mitra did full justice to the lively, deserving winners of IGI. Gusto 2k19 infused Indraiites with vigour, energy and josh! May the spirit of Gusto live long! 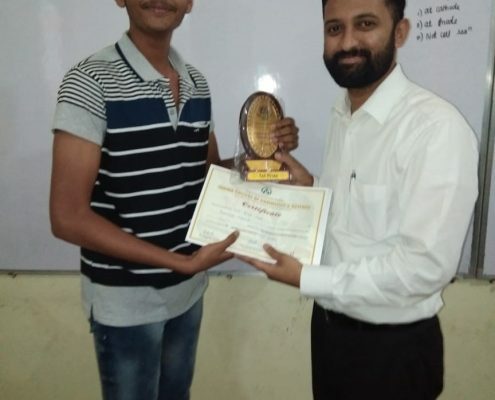 Indira College of commerce and Science conducts Statistics Quiz Competition every year which is organized by PUSA (Pune University Statistics Association). 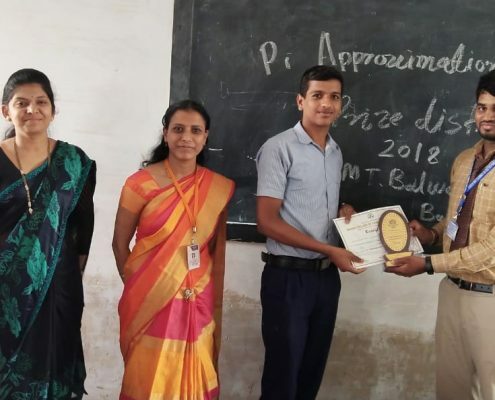 This competition is conducted for first year B.Sc. (Comp. Science) and B.Sc. (Statistics). 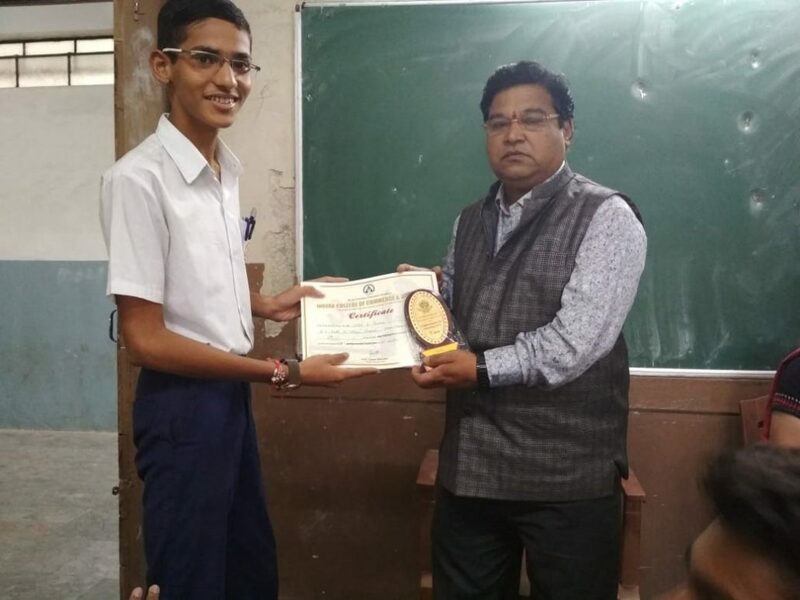 PUSA selects topper from each center and awards with the certificate of Center Topper. 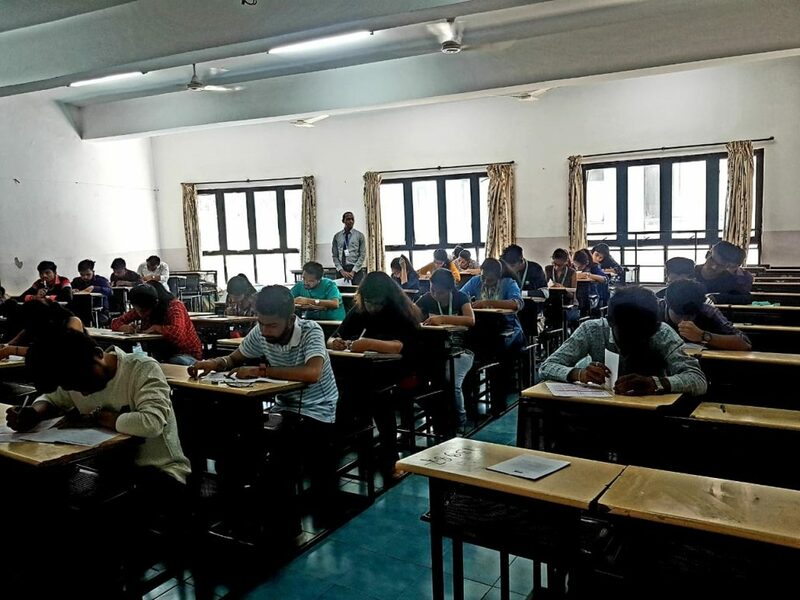 Like every year, this year also Statistics Quiz competition was organized for the students of first year B. Sc. 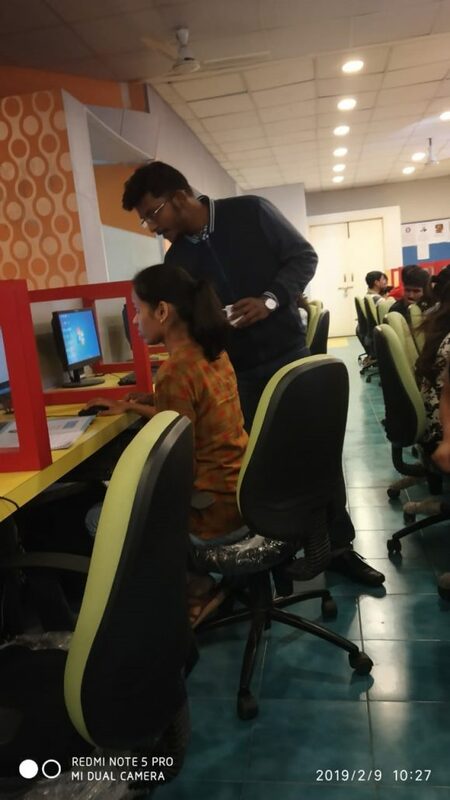 Computer science on 23rd January, 2019. 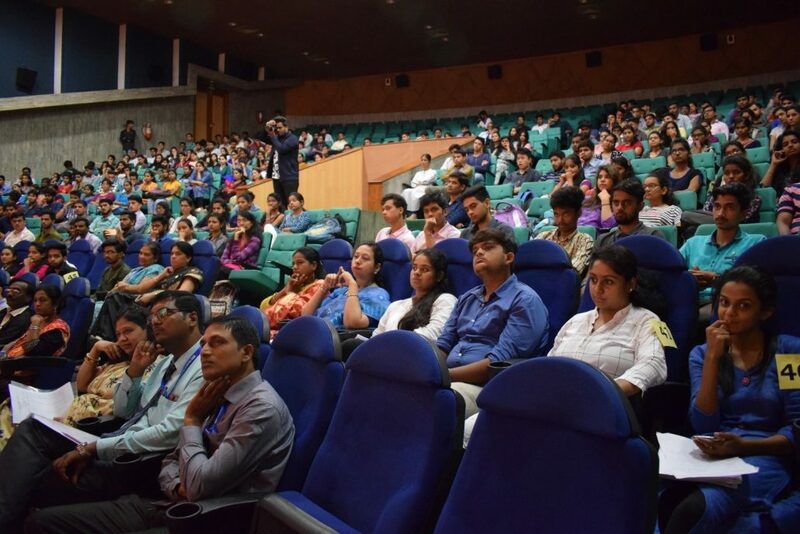 In all 995 students from 15 colleges under SPPU participated in this competition out of which 75 students were from Indira College of Commerce and Science. From among these, Komal Kailash Verma from F. Y. B. Sc. Comp. Sc. (Div.-C) have been declared as a Center Topper for this year by the PUSA. 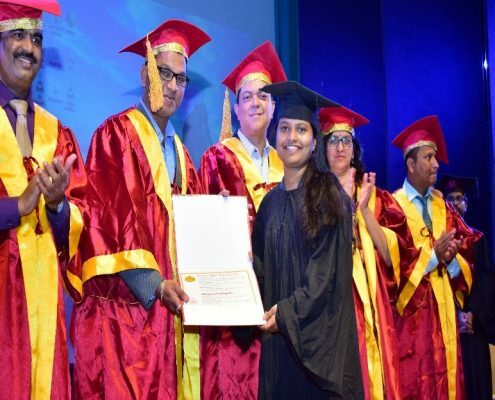 Also she secured Second Rank at the University level. 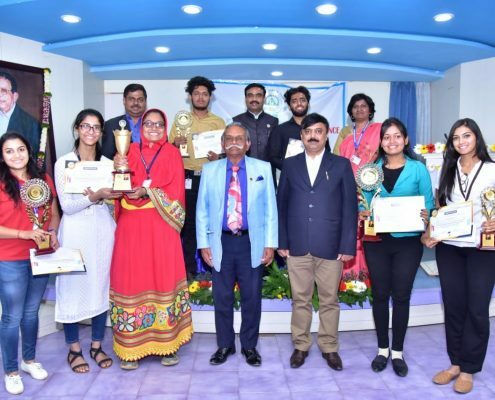 Indira College of commerce and Science conducted Electronics Quiz Competition every year which was organized by SPEED (Society for Promotion of Excellence in Electronics Discipline. This competition is conducted for all colleges where all first year students from all B.Sc. courses can take part. SPEED selects topper from each center and awards them with certificate. 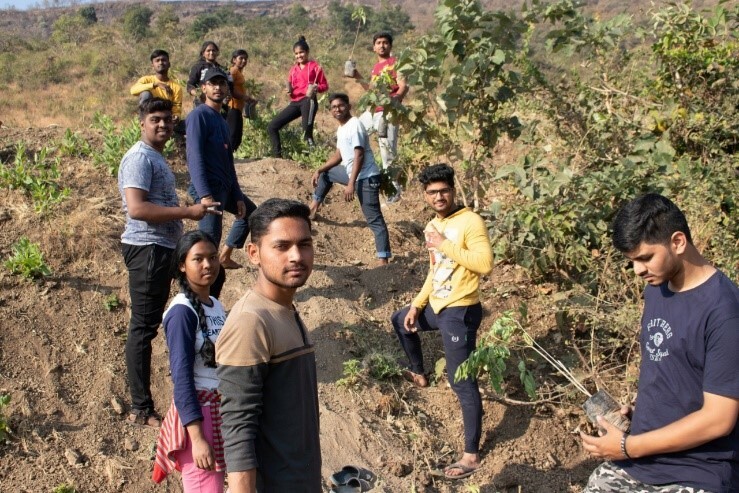 The National Service Scheme (NSS) camp of Indira College of Commerce and Science was organized from 07th January 2019 to 14th January, 2019 at Shelkhewadi – Pimpoli village in Mulshi block of Pune district. It is 27 Kms from college. 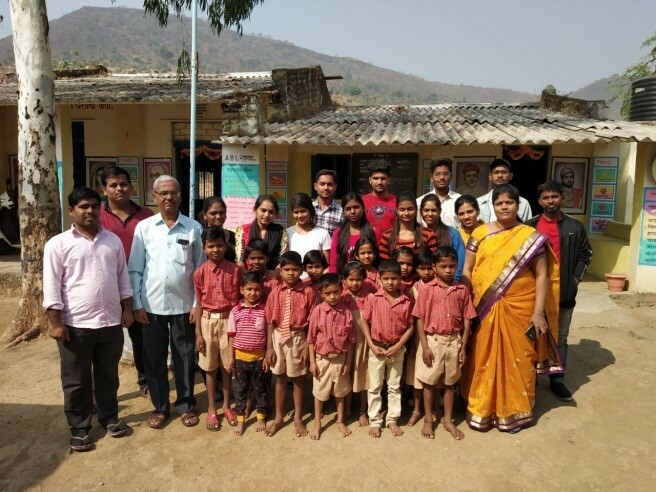 This village is adopted by SPPU to make it as a smart village where ICCS has taken initiative to arrange camp first time at this village. 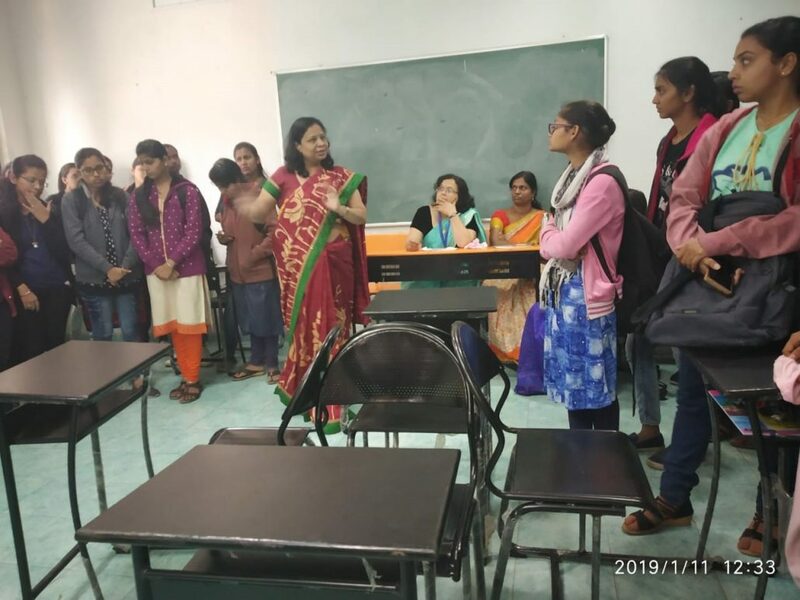 NSS Program officer of college Prof. Sumit Sasane and Dr. Chandrashekhar Pawar with 25 NSS Volunteers (girls and boys), 2 faculties (one lady teacher) & one peon was participated in this camp. The details of activities are mentioned below. 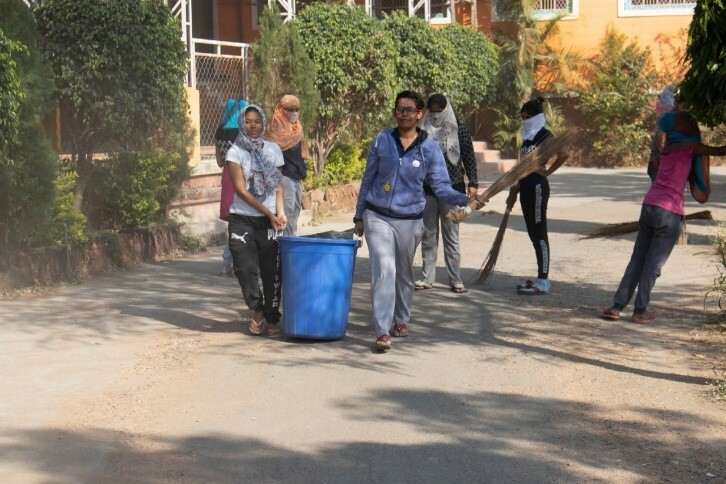 On 07th January, 2019 morning at 11:30 AM, NSS camp was escorted from Indira Universe Campus with traditional Pooja formalities by the hand of Dr. Janardan Pawar, Principal In charge. Camp was reached at Shelkhewadi village by 1.30 pm staying arrangements done for all the volunteers. 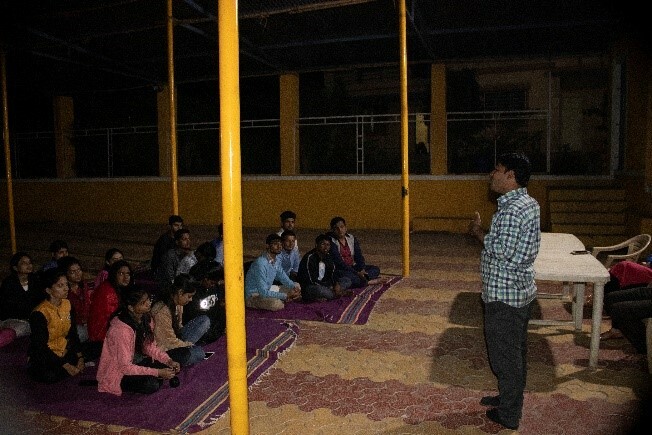 Prof. Sumit Sasane had conducted session on role and responsibilities of NSS volunteer’s in entire tenure of camp. 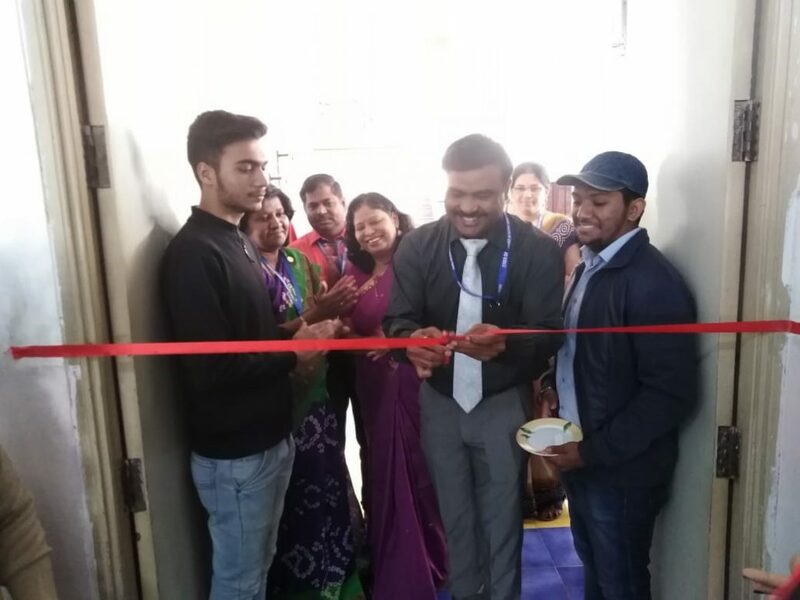 The camp is inaugurated by the hands of Mr. Anand Pusavale Sir (Deputy Collector) Director, SIRD, YASHADA, Govt. 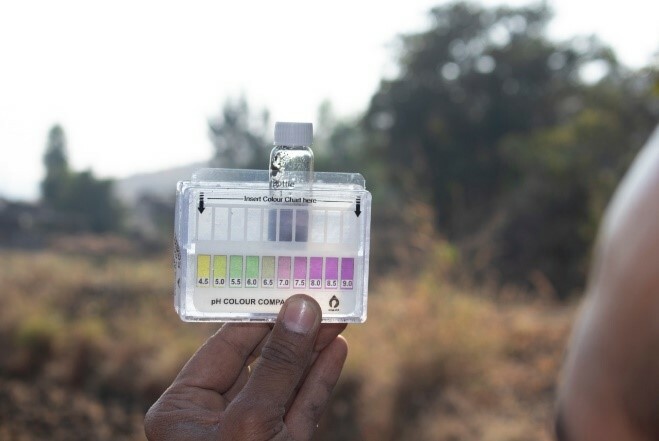 of Maharashtra, Dr. Sumant Pande Sir, Executive Director, Water Literacy Centre, YASHADA, Govt. of Maharashtra and Mr. Kulkarni Sir, Rehabilitation Expert. Students overwhelmed with speeches of all the guests. 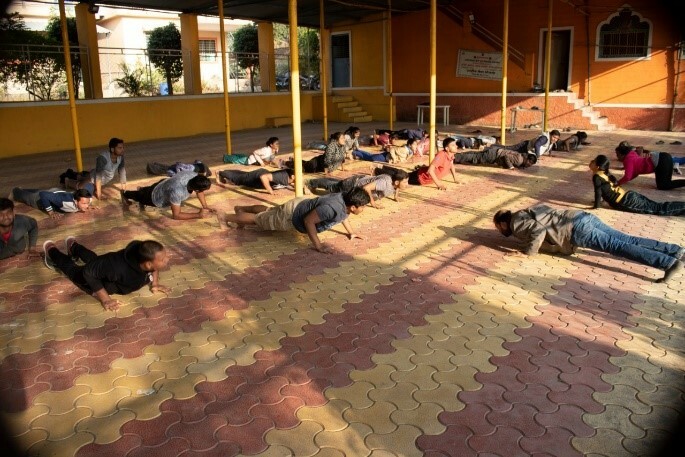 On 8th Januray,19 Camp started with early morning Jogging and then Yoga Sessions. 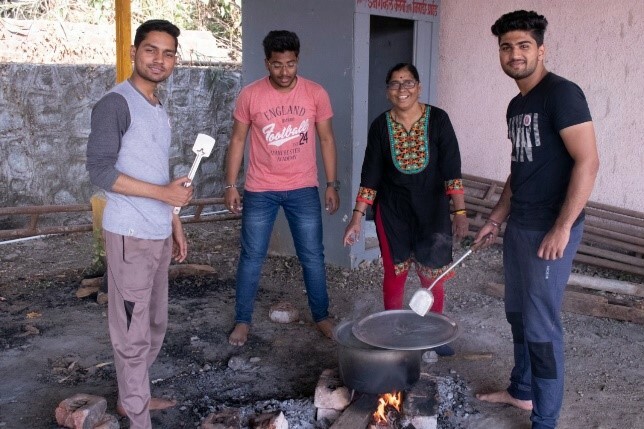 After that NSS Prayer was conducted, after breakfast with Poha, NSS camp is visited by Mr. Babaji Shelkhe (Sarpanch- Shelkhewadi – Pimpoli village). 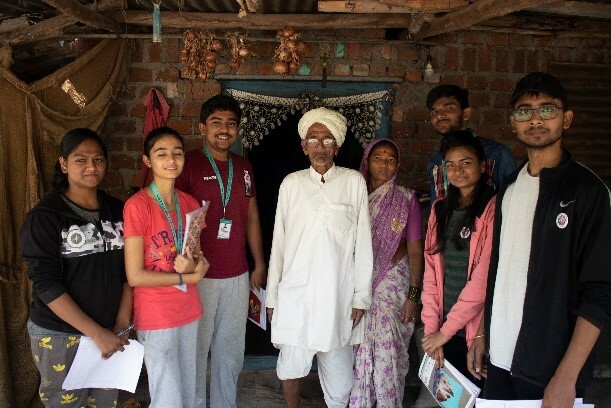 In the afternoon student volunteers have conducted survey of village under the guidance of Dr. Chandrashekhar Pawar and collected basic information related to microplanning. 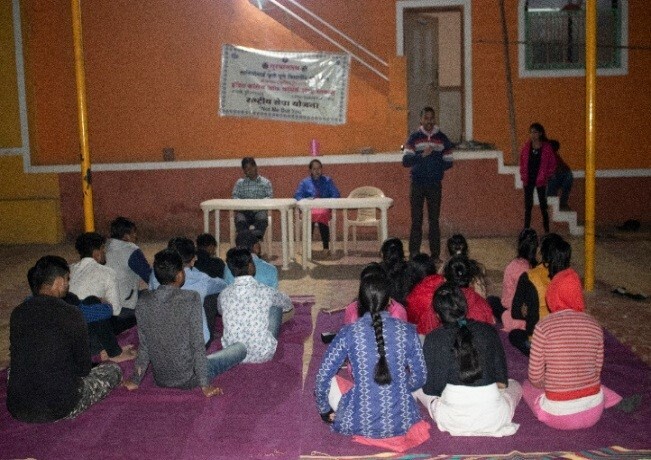 In the evening, For NSS volunteers and villagers invited talk on the topic “ Maharaja Shivchtrapati and his management ” delivered by the specialist Dr. Ajit Apte and Mr. Yogesh Kadam, Lions Club, Sangavi delivered speech on “ Rural Development”. 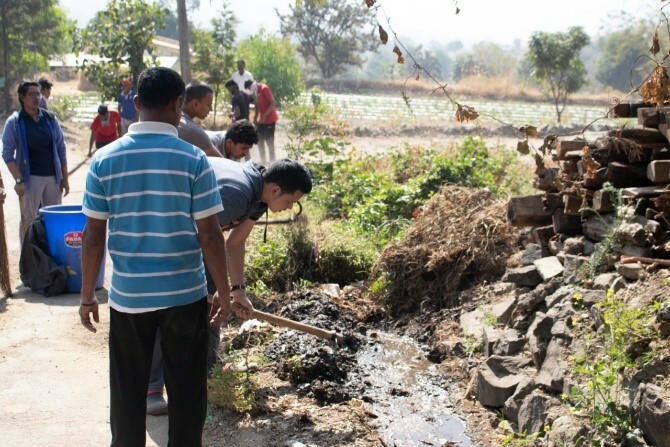 Cleaning Process at Shelkhewadi – Pimpoli village Food committee. 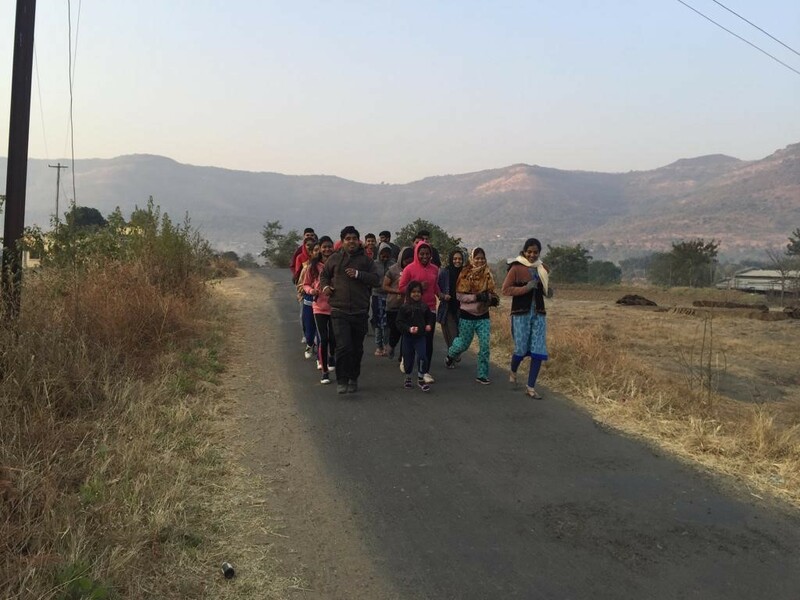 On 9th January Camp started again with early morning jogging and then Yoga Sessions. 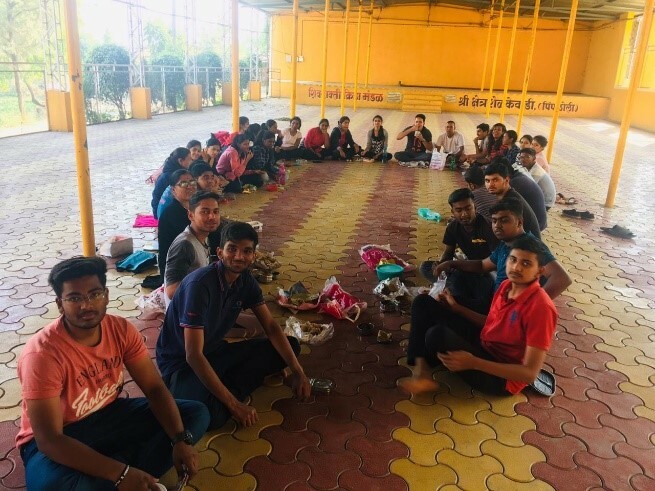 After that NSS Prayer and breakfast, Volunteers started to Develop “ Deorai” – A scared forest in the name of God and Goddess. About 325 plants of 80 varieties of medicinal plants have been planted. The distance of 10 meter * 10 meter for the plantations was kept standard considering nourishment of saplings. This is “first developed Deorai” in Pune district. It composed of almost all the indigenous medicinal plants observed in Maharashtra state. Some of Key stone species also planted for bird fauna. 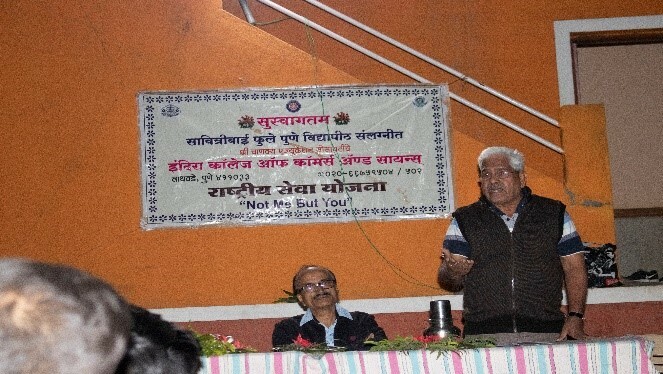 In the evening, the speech on “ Gandhian philosophy” delivered by Dr. Nandkumar Shinde, Symbiosis, Kiwale. Entire volunteers and villagers enlighten with the speeches. 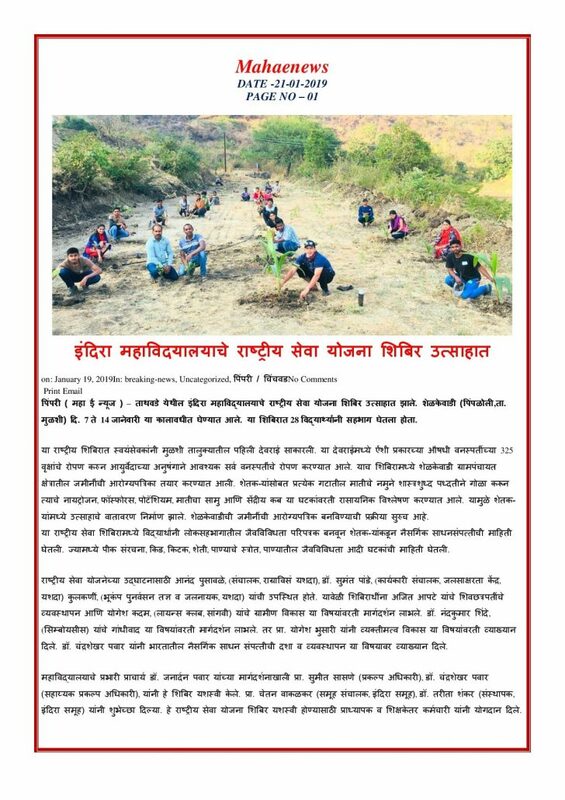 Indigenous tree plantation and Deorai development was major activity of NSS camp. The saplings of locally named species e.g. Pimpal, Umbaar, Bel, Fanas, Badam, Hirda, Arjun, Neem etc. was planted. The deepening of old pits of previous year plantations was also carried out. 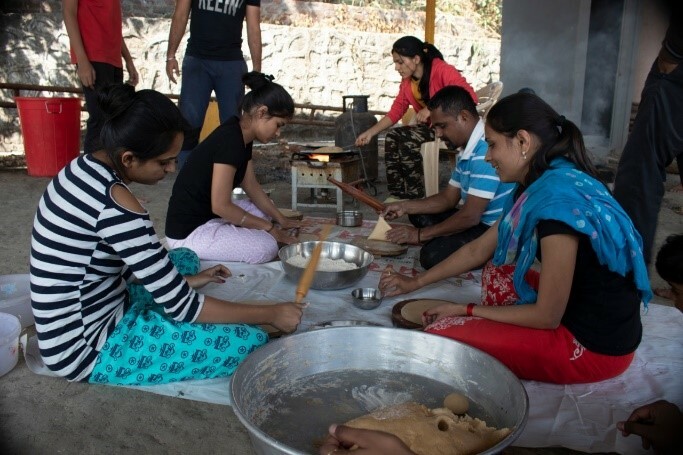 This work was implemented as a major activity of camp. 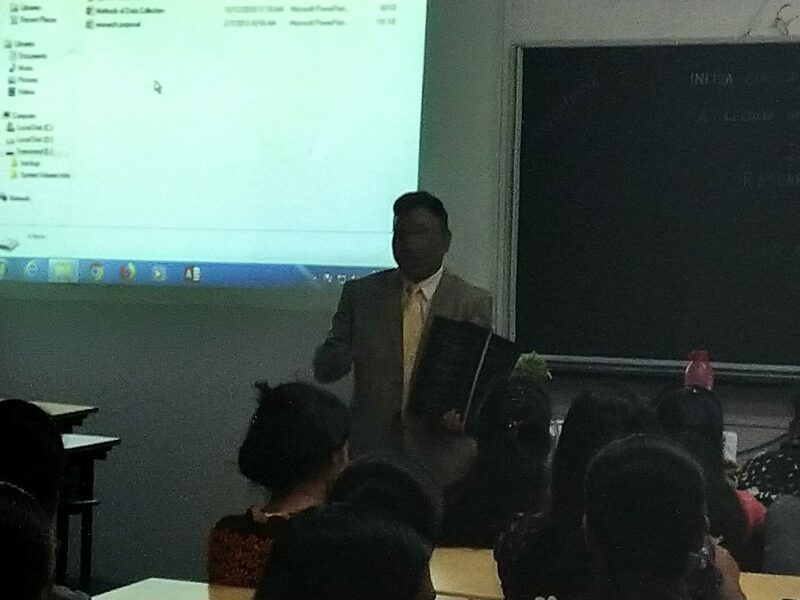 In the evening, Dr. Chandrashekhar Pawar, Delivered speech on “ Natural resource management”. 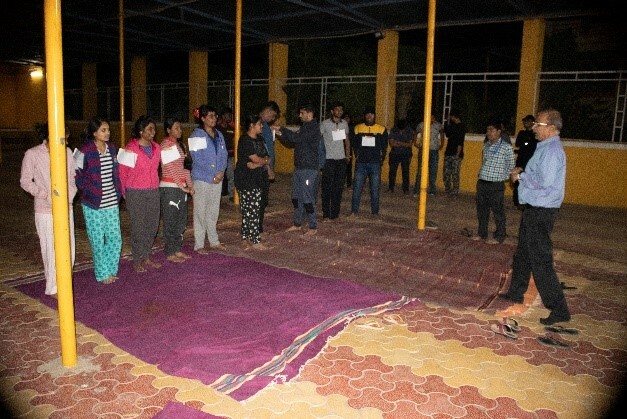 Then Musical Chair game was organized for villagers at 8:30 pm for active participation of villager specially women’s and children’s of the village. After Morning Prayer and yoga session a long drive for pit excavation has been carried out. Along with Deorai, 400 plants of Jamun and Peru have been distributed and planted on private agriculture lands of the villagers and adjoining areas of Grampanchyat. We did agreement between Grampanchyat and Indira College of Commerce and Science about surveillance and post care of planted trees. All the species were indigenous, fruit bearing, shady, key stone species etc. 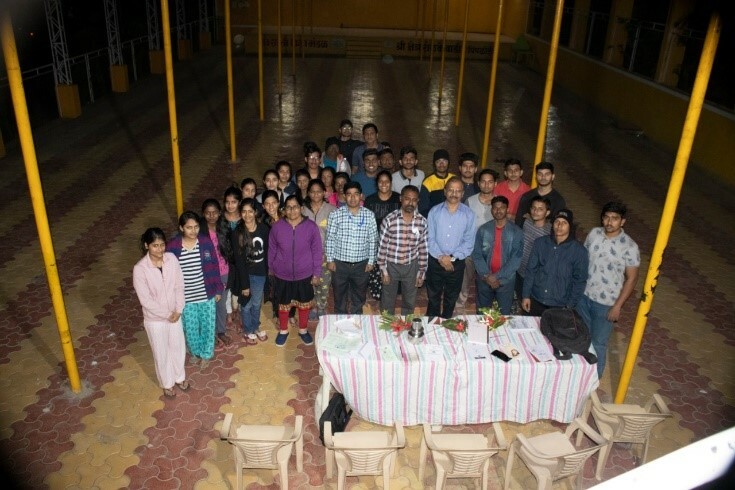 In the evening, Prof. Yogesh Bhusari, delivered speech on “Personality Development”. Morning Prayer and yoga session followed by the breakfast. 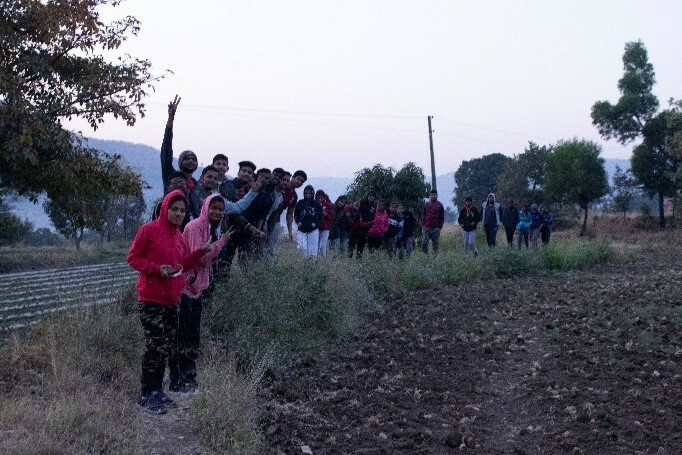 The students were exposed to field visits related to Land Capability Classification (LCC), Soil Sampling collection for preparation of Soil Health Card (SHC). The organic farming is motto of all villagers. To know the status of nutrients in the soil a scientific survey has been carries out. As per the Net Planning, a participatory planning (With farmers) has been carried out to collect the soil samples. About 100 Soil samples has been analyzed on the spot considering the availability of Nitrogen,Phosphrous, Potassium, pH and Organic carbon. 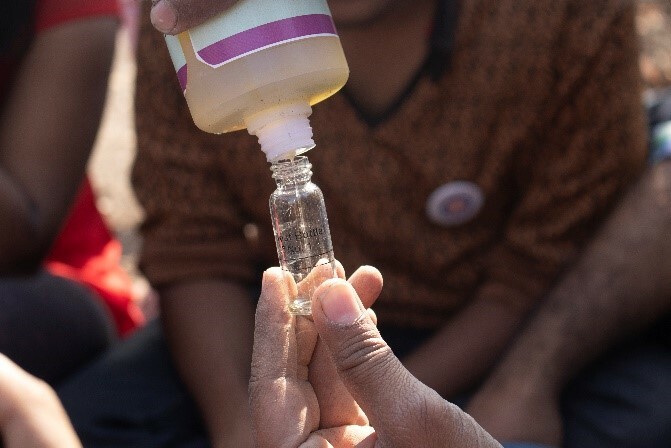 The soil testing kit approved by Mahatma Phule Krishi Vidyapeeth, Rahuri was used for soil investigation. 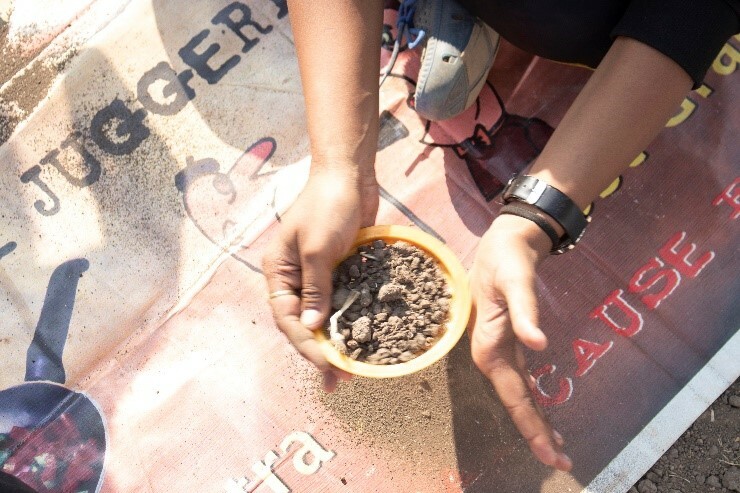 It is concluded that, all the soil samples are showing very good availability of nutrients is all the soil samples. Some farmers have adopted innovative practices such as hydro-phonic techniques – A fodder generation technique in scarcity days of summer. 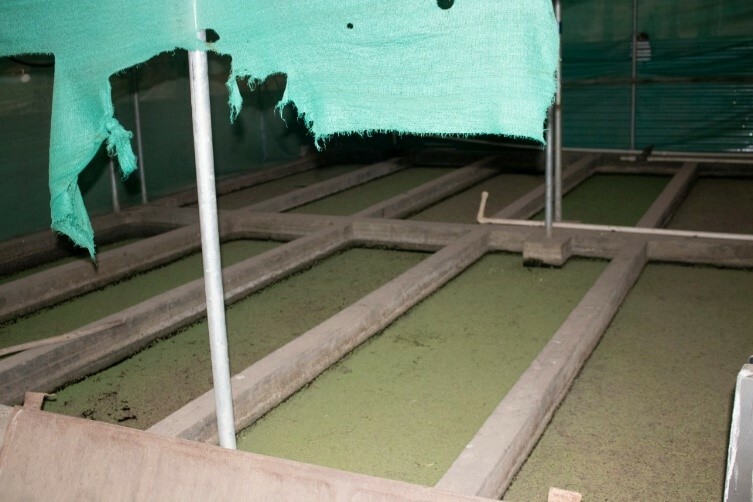 One more technique of Azolla formation was developed by farmer. The students also exposed to Azolla ponds and its nutritious status for livestock. The visit to poultry farms also arranged to gather scientific information of this industry. Rejuvenation of old plantations was done and plantations of fresh saplings also done on the same day. The day in the NSS camp started with morning prayers and national anthem. After breakfast, the plantation has been done. The day started with new innovative practice, Peoples Biodiversity Register (PBR). 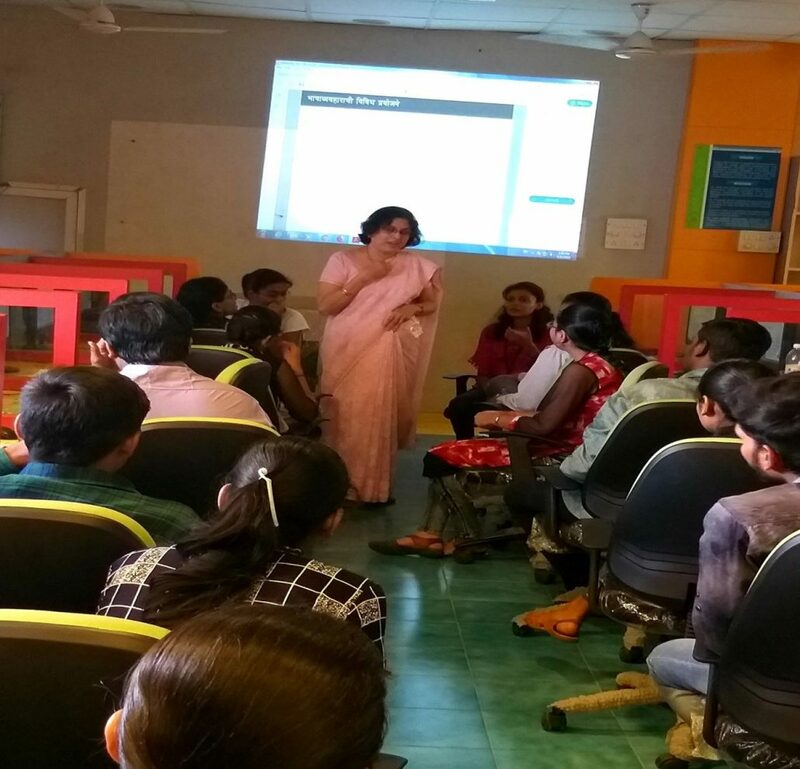 The orientation to the students was carried out regarding how to gather information about different PBR formats. 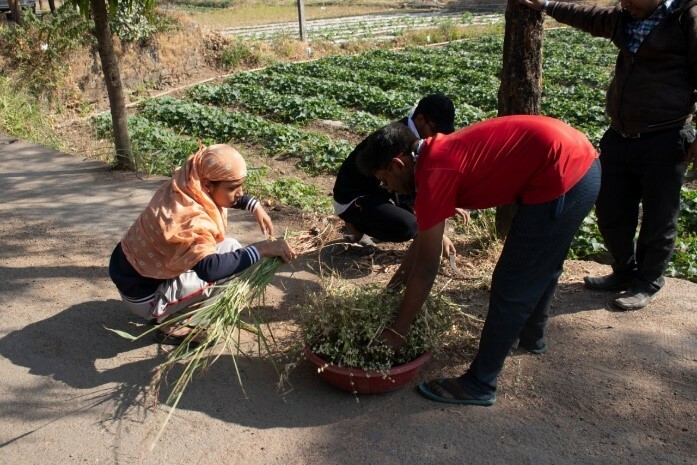 NSS volunteers did this practice and completed the assignments with interacting with farmers. The assignment is guided by Dr. Chandrashekhar Pawar. 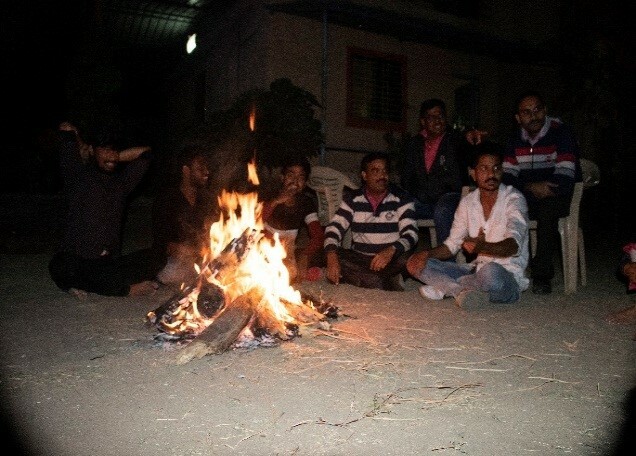 In the evening, a discussion on field work has been carried out with NSS volunteers. Then sendoff ceremony was conducted by Sarpanch and villagers. In the morning prayer was conducted and remaining work of Soil sampling and preparation of soil health card and plantation was completed. 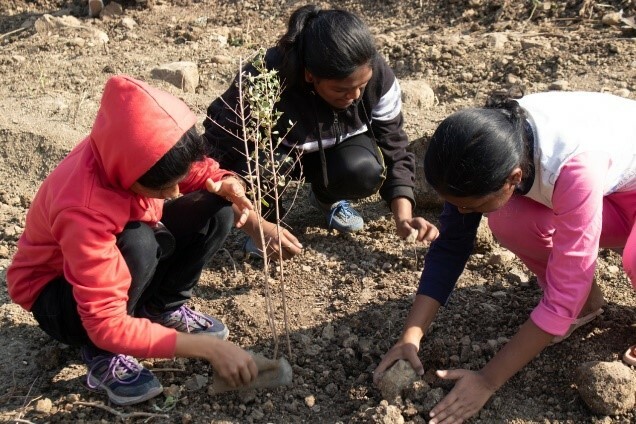 The villagers also committed to best care of planted trees. 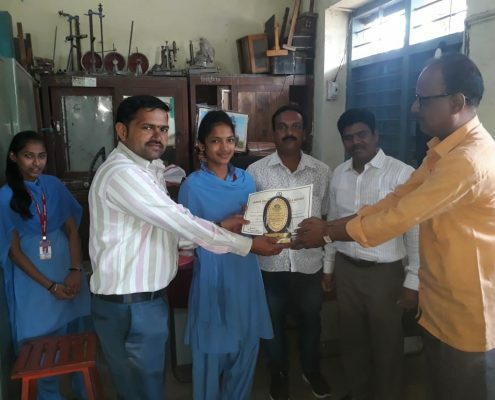 The efforts taken by students were appreciated by villagers. An emotional movement for volunteers during departure. 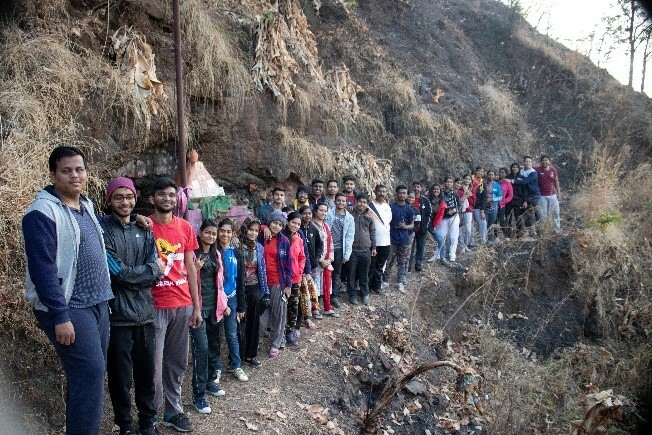 Volunteers reported that “NSS camp was life time learning experience for them”. Volunteers feedback session taken at the last. In evening NSS camp reached at college campus in evening. 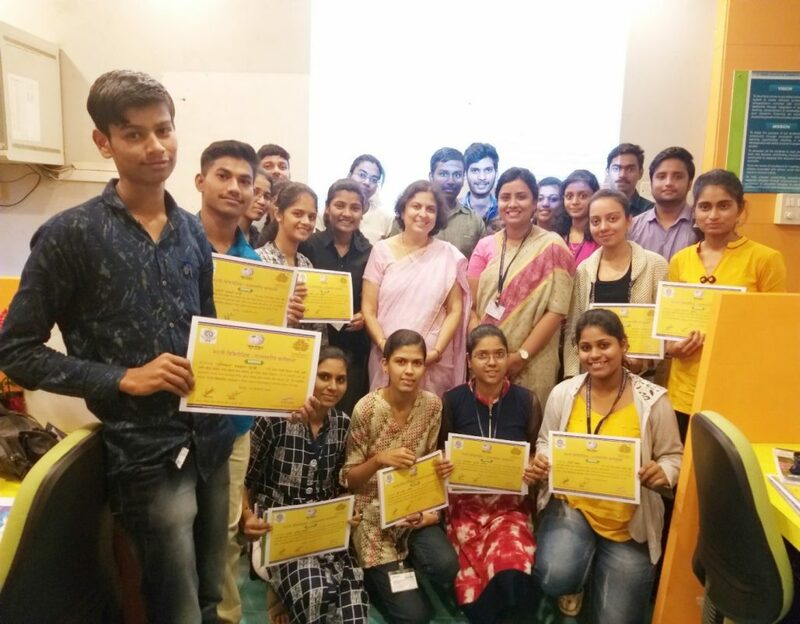 Indira College of Commerce and Science in association with “Rajya Marathi Vikas Sanstha” Organized a Workshop/ Karyashala on the topic- “Marathi Vikipediyachi Tond-olakh” conducted by Mrs. Suparna Kulkarni, from Rajya Marathi Vikas Sanstha, Mumbai. The program held on 11th of January 2019, from 2:00 pm. to 6:00 pm. at Lab No. 4 for the students and faculties.The program arranged by Dr. Deepa Jamnik under the leadership of Dr. Janardan Pawar. 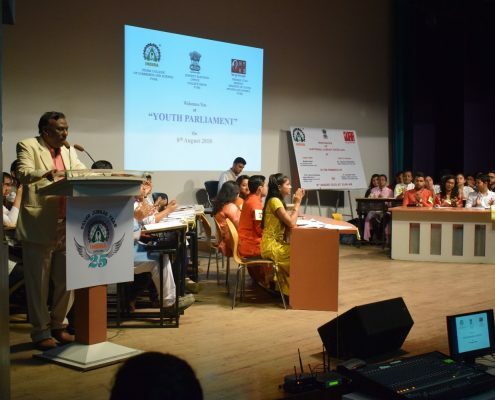 Indira College of Commerce and Science (ICCS), Tathawade, had organized first-ever ‘Youth Parliament’ in Pune region, on 8th August’2018 in association with Nehru Yuva Kendra Sangathan (NYKS), Ministry of Youth affairs and sports, Pune. 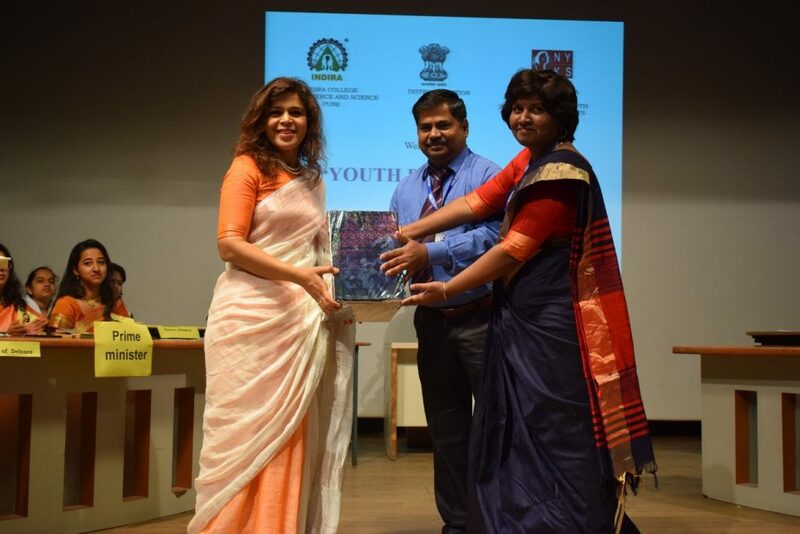 The Chief Guest for the event was Miss Monika Singh, the Deputy Collector & Deputy Election Officer-State Government of Maharashtra and the guest of honour was Mr. Yashwant Mankhedkar, Chief Co-ordinator of NYKS. The innovative event which happened for the first time in the history of college started with the arrival of Chief Guest. 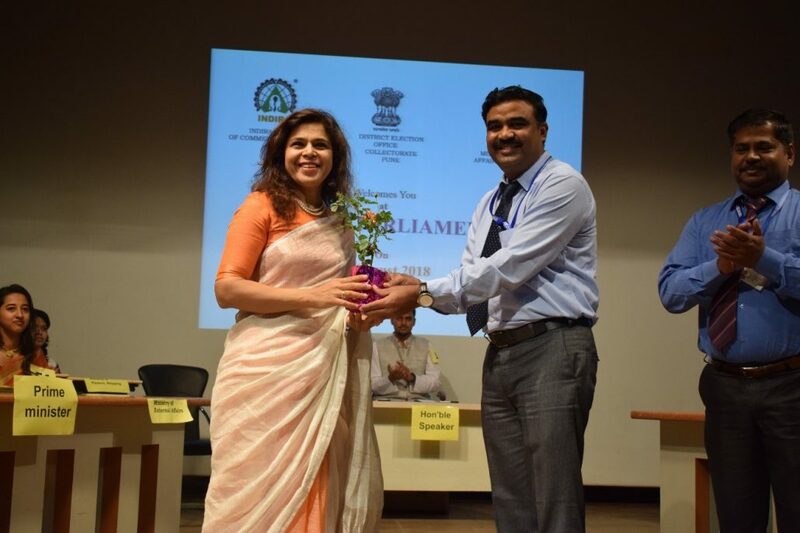 Later on, Dr. Janardhan Pawar,Principal Incharge of ICCS, Dr. Sonali Shrotri, HOD-BBA & BBA(IB) Department, and Prof. Shivendu Bhushan, HOD-BCA felicitated the Chief guest and guest of honour with saplings. Guests were very warmly welcomed by the college staff and students. 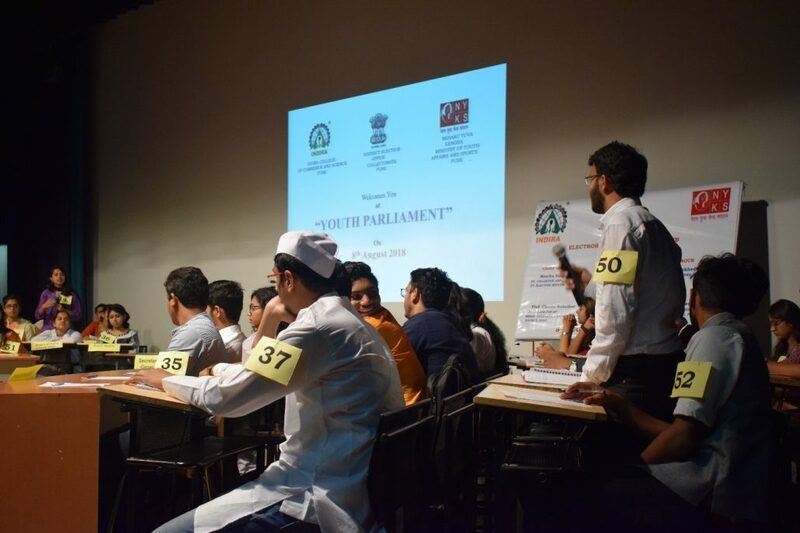 The parliament ministries were assigned to students who played role of ministers and one of the student was given speaker’s post to conduct the parliament. 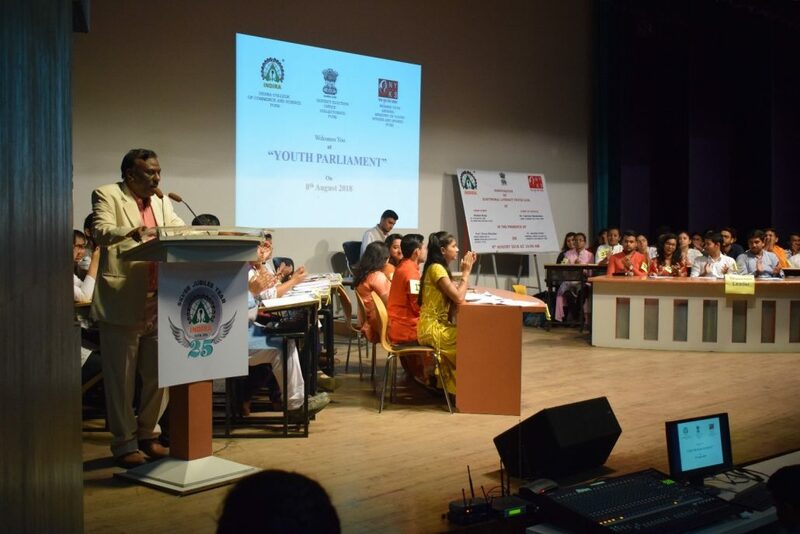 Dr. Nalanda Wani and Prof. Abhijeet Chavan were the judges of this Youth Parliament session. Honorable Speaker of Youth Parliament, started the session by taking oath and then the Youth Parliament was kept open for all. The first topic of discussion was employment generatiion which was debated and appropriate solutions for it were suggested. The next topic of discussion was Urban & Rural areas and their problems, how the problems of these areas can be solved; later on opposition leaders targeted Ministry of Tribal Affairs to address to the problems of tribal people and how those tribal people can get connected with the mainstream and how they can be helped etc. 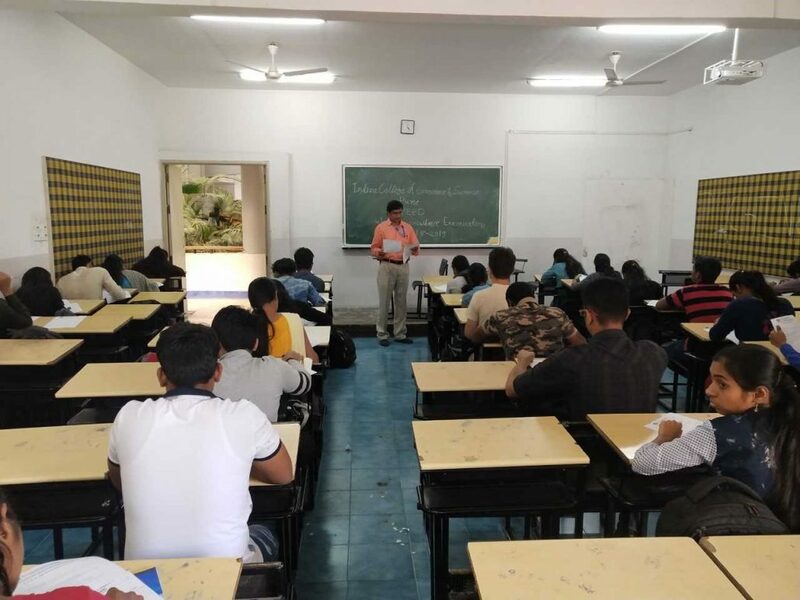 Subsequent topics for discussion on how the education provided in government schools is different from that of private schools were asked from Ministry of HRD. Further topics of discussion were Women Safety, Prices of Petroleum products, Finance, Defence, Small & Medium scale Industries, Sources of Power & renewable resources, Textile Industries, Infrastructure etc. The Young Opposition leaders were raising various issues to respective ministers and also demanding appropriate solutions and gave suggestions on the same. The session was concluded by the Honorable Prime Minister and the Honorable speaker respectively. 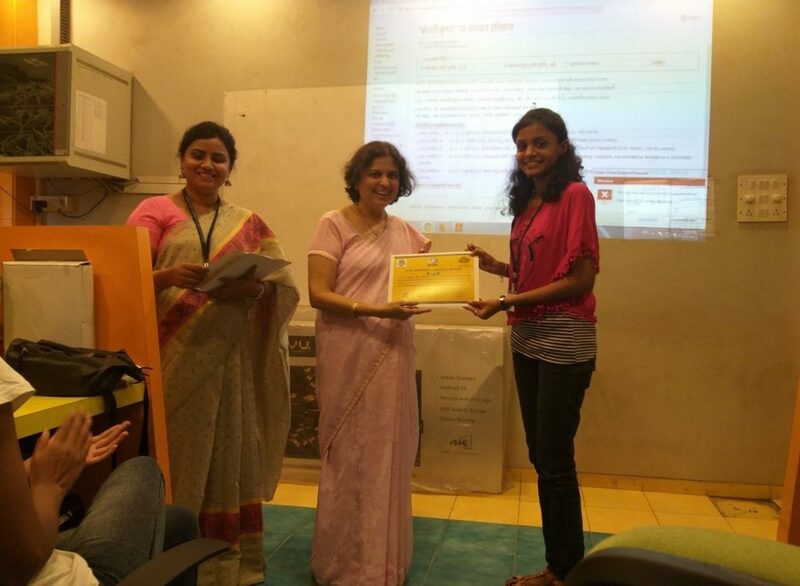 All the students who participated were awarded with a ‘Certificate of Participation’ by the guests. 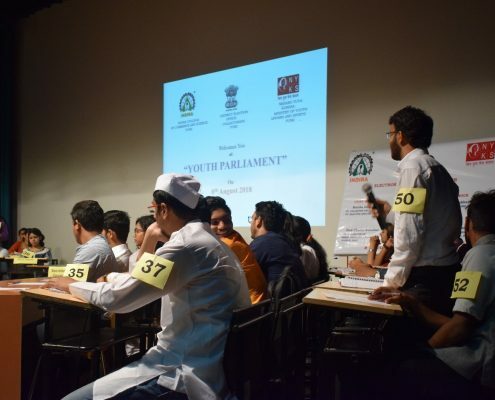 And also there were three students who were declared as the best speakers of Youth Parliament session and they were Ritik taunk (acted as honorable speaker), Laksh Dujari (acted as Minister) and Akash Gaikwad (acted as opposition leader). 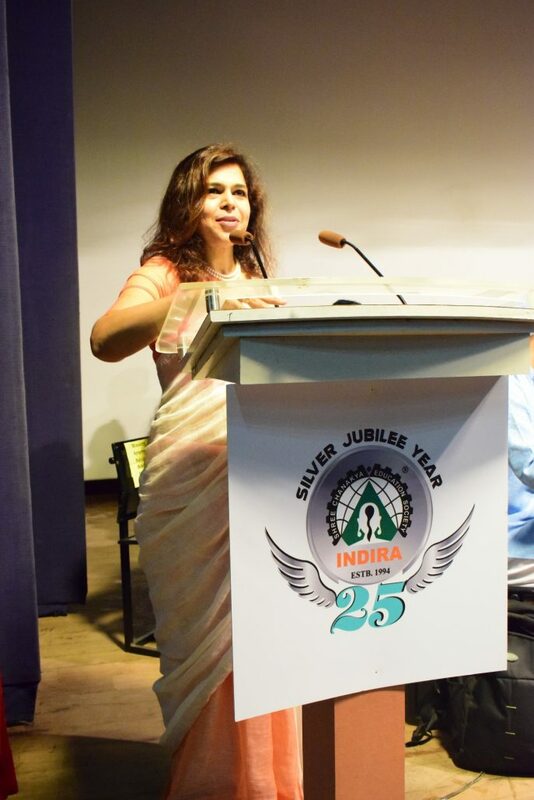 The event was very well executed under the supervision of Professor Dr. Deepa Jamnik and Professor Vijay More. 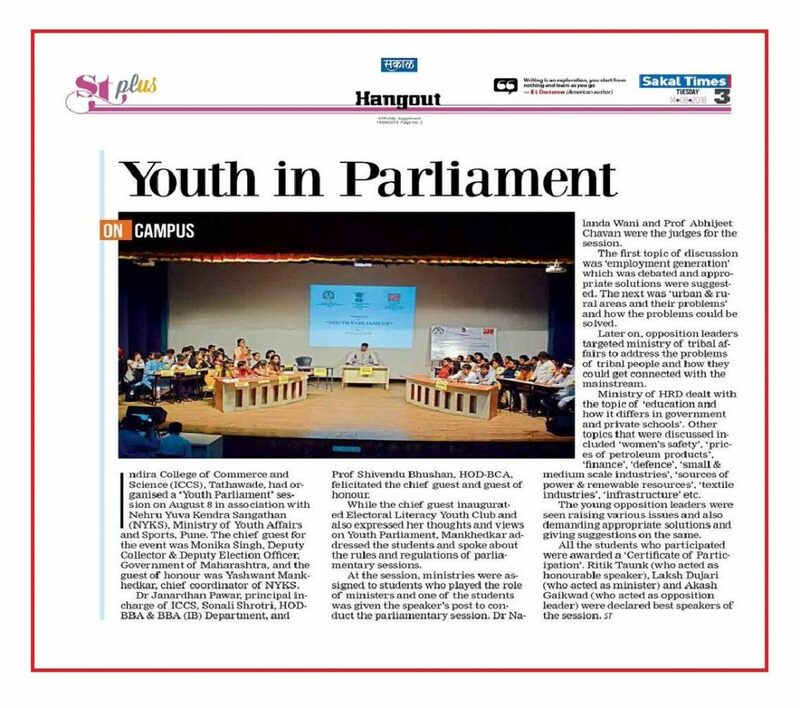 This event of Youth Parliament proved to be a memorable event from which the college students have learnt so many things and they were given a platform to express their viewpoints. Pi day competition is an annual event in ICCS. It is held every year commemorating the symbolic date 22nd July. This day is celebrated by ICCS to spread the spirit of mathematical thinking and analytical reasoning amongst today’s youth. 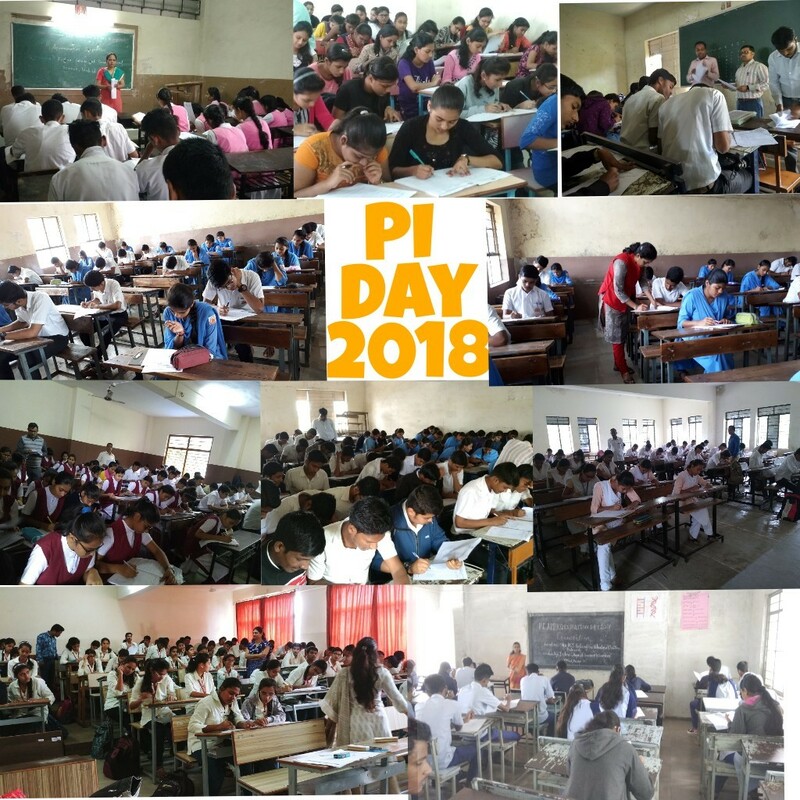 The celebration of Pi day was started 12 years ago and this year too, the celebration was a triumph and a successful event with the count crossing 1500 participants, where it was started years ago only with handful of 30 students. Earlier it used to be an inter-class competition and now gladly, it is an inter college level competition. This year it was held in the month of August at ICCS. 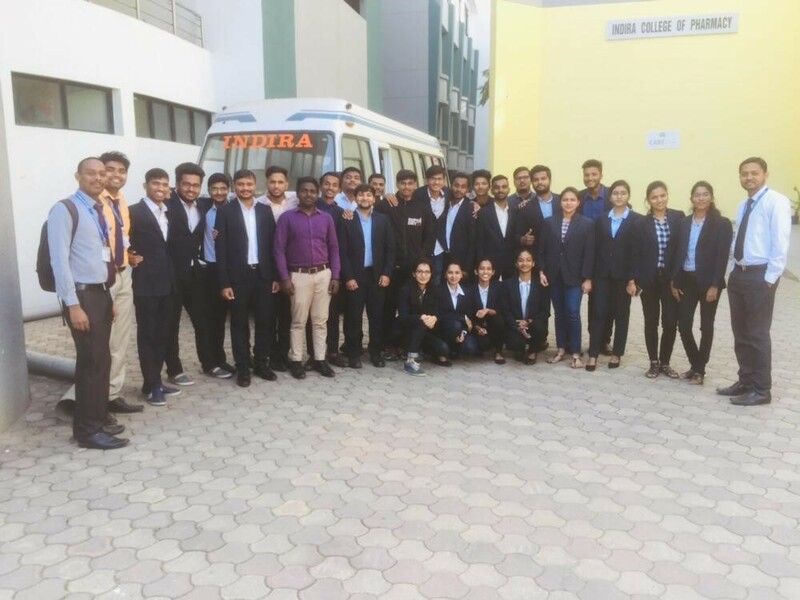 This year Indira College of Commerce and Science was very fortunate to have the participants from Eleven colleges from all over Maharashtra. 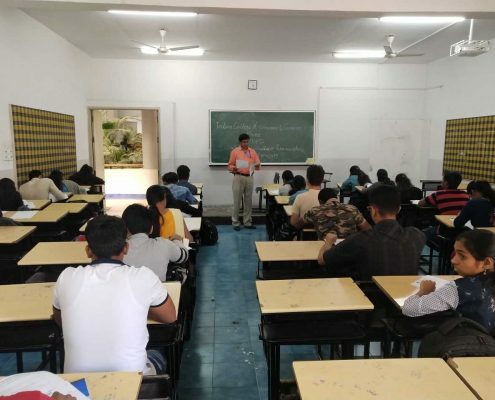 This day is marked by hosting Mathematical quizzes in different colleges and schools. 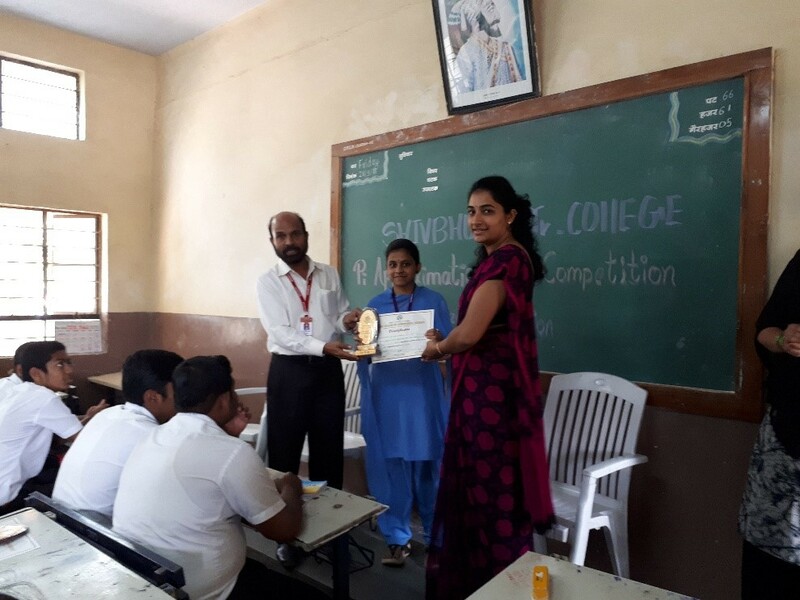 Faculties from ICCS went to these colleges and conducted the competition on Mathematical MCQs. 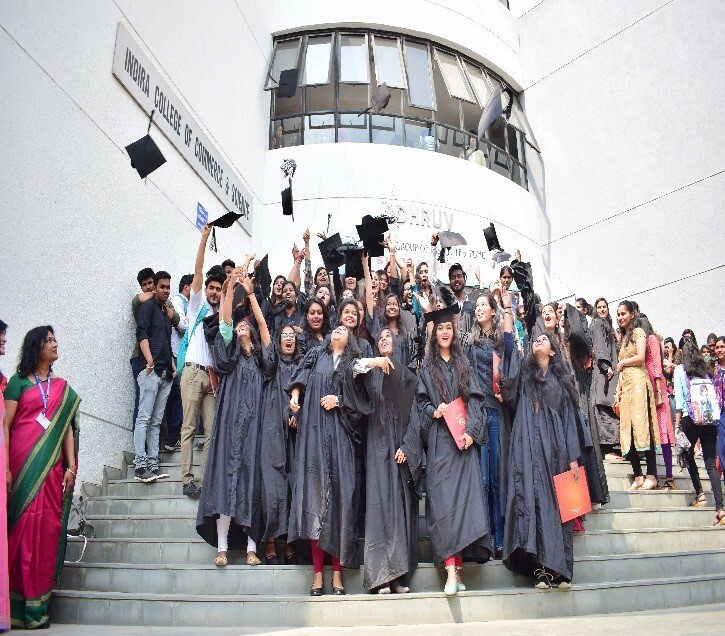 After evaluation, winners were declared from every college. 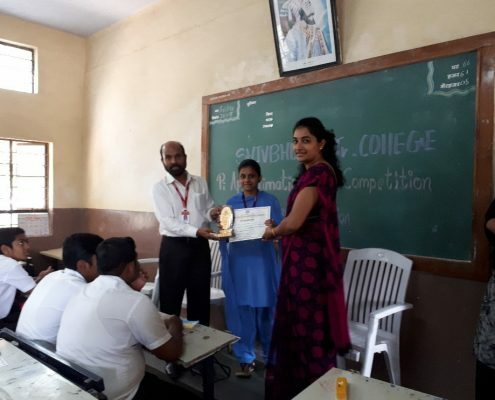 From every participating college first three winners got prizes in the form of trophies and every participant got a participation certificate. 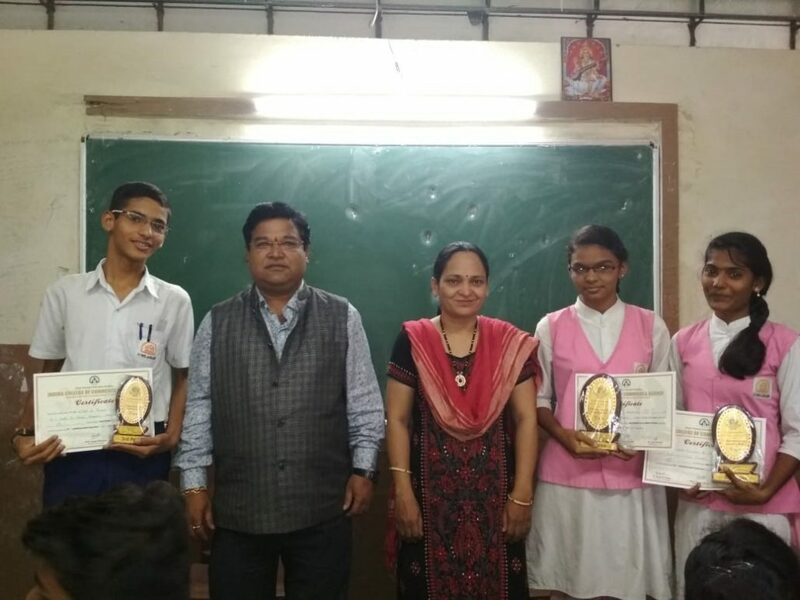 These prizes were handed over to the winners by our faculties in their respective colleges. 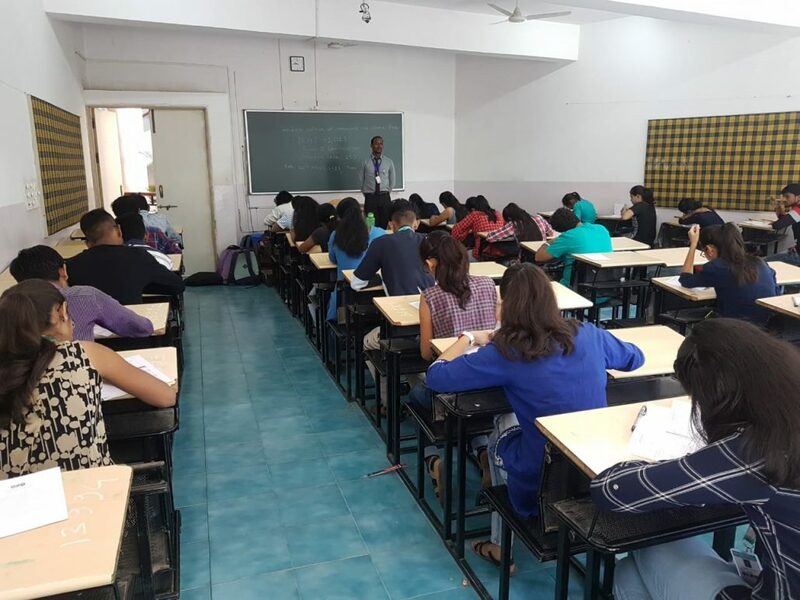 In this way ICCS maintains its legacy to spread the essence of mathematics through logical and analytical reasoning among the college students. 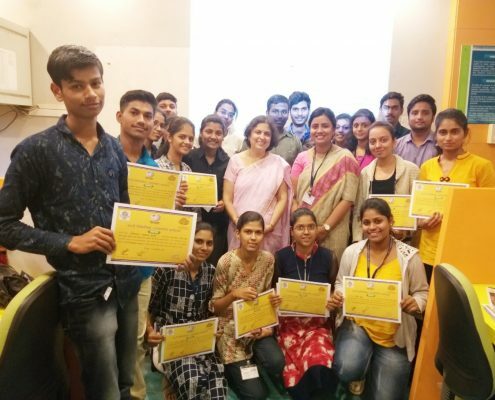 Under the banner of Indira Research Cell, Commerce Research Center organized a lecture series on Fundamentals of Research. 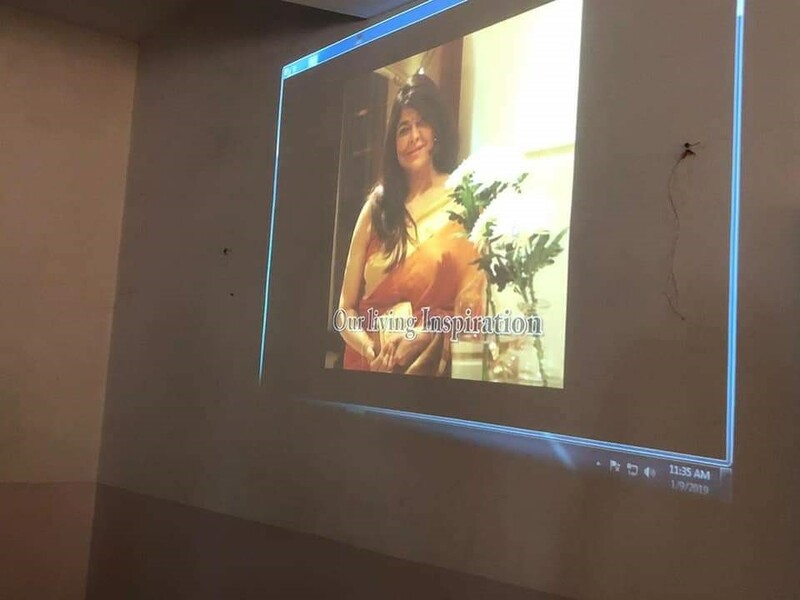 The sessions of eminent personality were arranged on each Saturday of September and October 2018 for the faculty members and M.Com students. The first session was conducted by Dr. A.B. Rao, a renowned statistician and administrator who spoke on research tool and data analysis. The second session was conducted by Dr. R. Ganeshan (CA),Director of Allana Institute of Management Science and renowned business consultant. The third session was conducted by Sanjay Mali, Director of National Insurance Academy who explored the observation method by citing day to day examples. 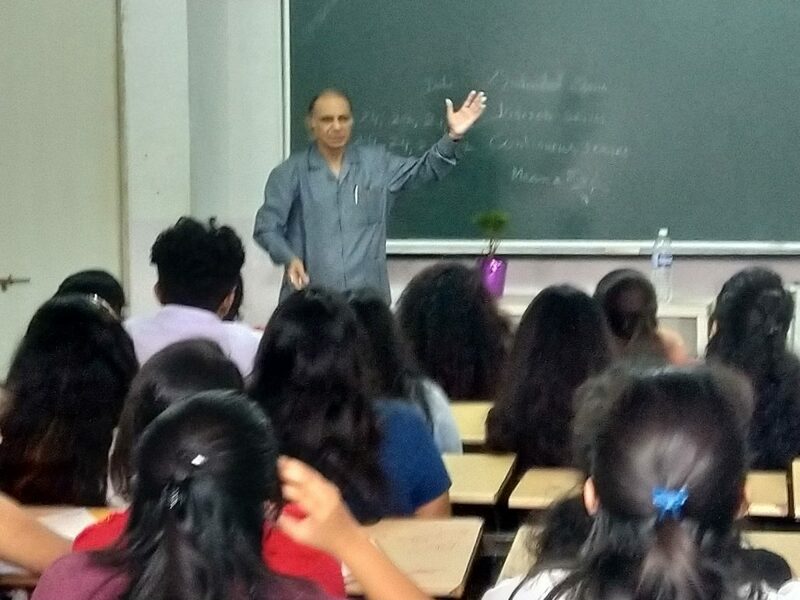 The subsequent sessions was on Research Design conducted by Dr. Anil Adsule, Principal of St. Vincent College, Pune. 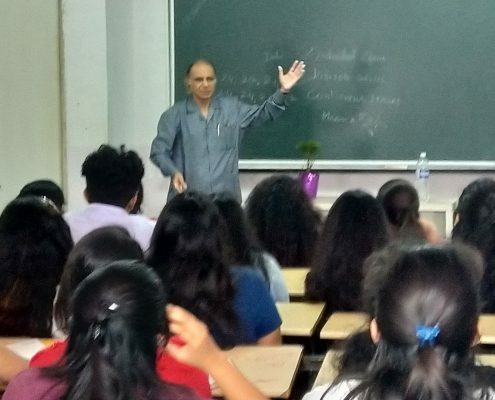 The concluding session was delivered by Dr. Prashant Sathe, Head Research Centre, BMCC on the topic “ How to identify research gap and finalize the research topic.” The lecture series benefited the attendees and oriented them towards research. 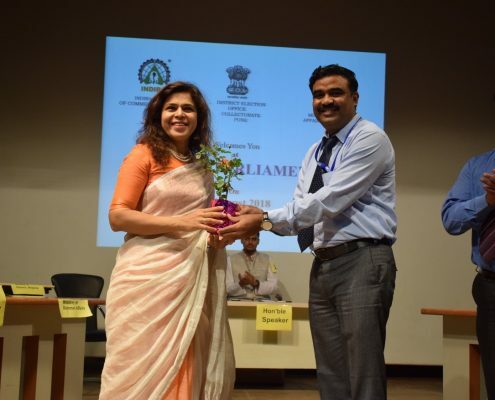 The lecture series were coordinated by Dr. Nalanda Wani, Head of research center under the guidance of Dr. Janardhan Pawar, Principal- in charge of ICCS. 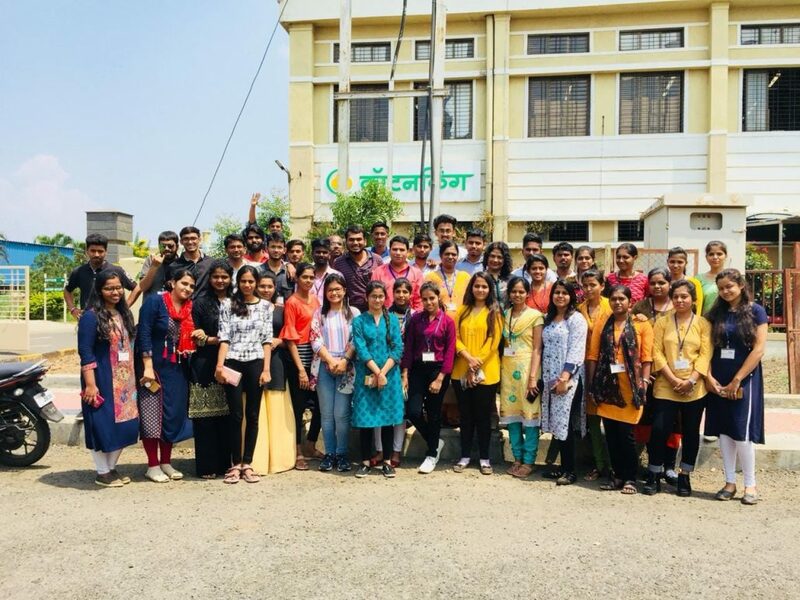 As a part of curriculum, ICCS had organized an industrial visit to Cotton King which is located at Baramati on 13th August 2018. 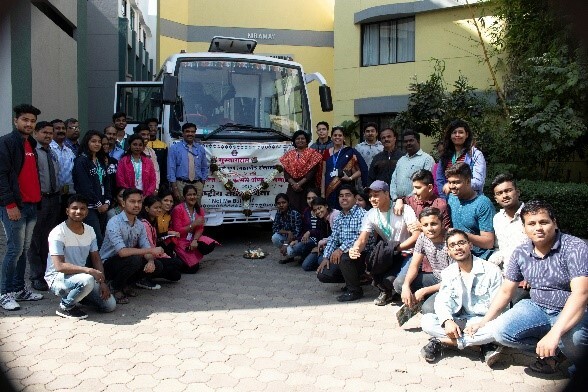 Total 40 students along with 3 faculty members visited the production unit. Cotton King is a manufacturing unit which manufactures shirts, trousers, jeans etc. The students got a practical experience by visiting the unit. The students saw the raw material turn into finished products. 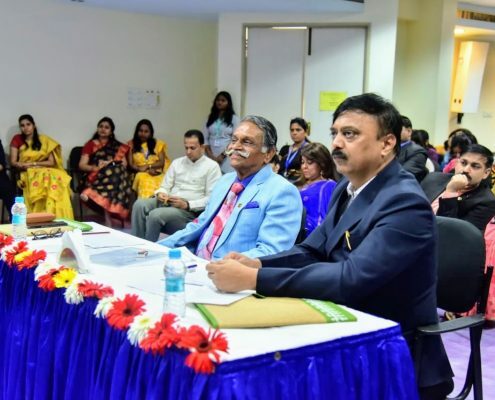 The visit was co – ordinated by Dr. Santosh Kulkarni under the guidance of Dr. Janardan Pawar. 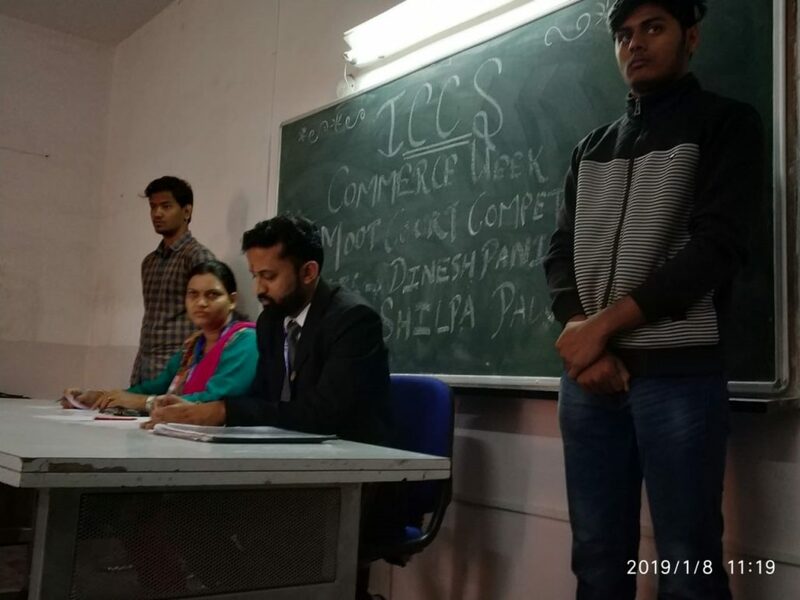 Department of Commerce, ICCS following its tradition of conducting Commerce Week annualy decided to commence the Commerce Week with a challenging event called “ Moot Court “ on day one, 08/1/2019. 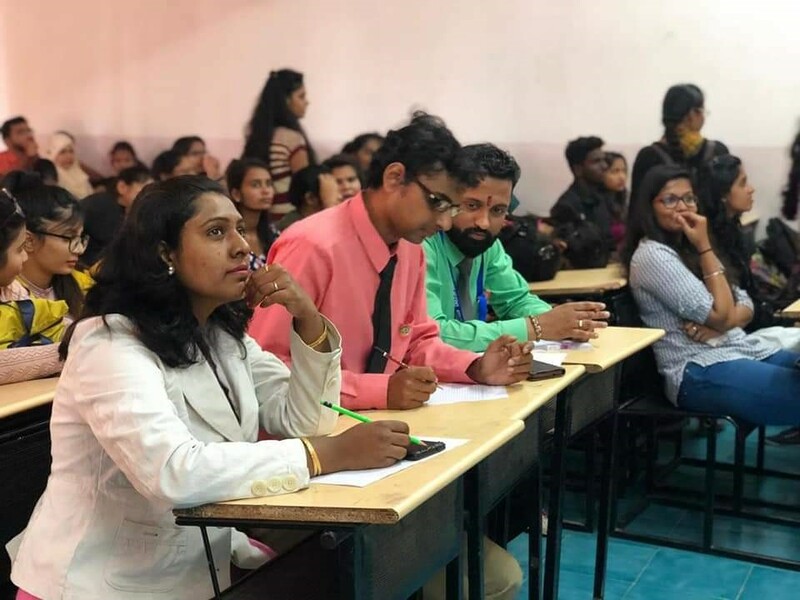 Though a monopoly of Law colleges, Advocate Dinesh Panicker and Prof. Ruchika Kathuria decided to make it an ‘out of the box’ activity for the dynamic students of ICCS, thereby offering them an opportunity to polish their dormant skills. The event was inaugurated by the Principal- in-charge , Dr. Janardan Pawar. 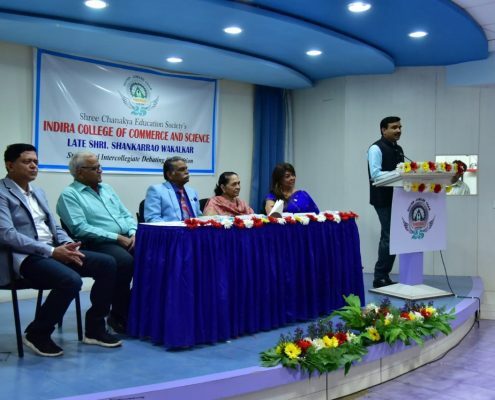 Dr. Nalanda Wani, HOD Commerce Department, Dr. Sonali Shrotri, HOD BBA Department, Prof. Shivendu Bhusan, HOD BBA-CA Department, Registrar Mrs Supriya Kutty were present for the event. Eight teams registered for the event . 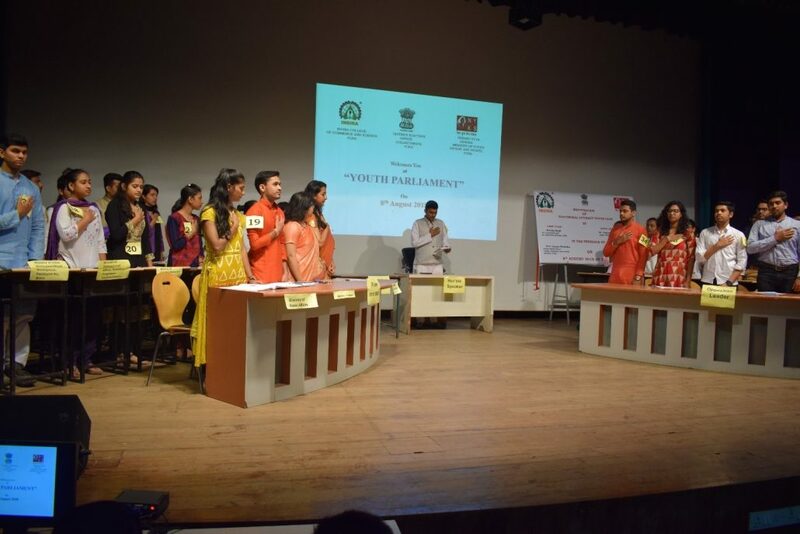 The preliminary grilling round was followed by two more equally challenging rounds with two teams entering the final round. The winners Swati Kalra, Rakshita Jain of TY.B.Com gave a tough competition to Nikhil Jain and Priyanshu Bhatia of SY.BBA . 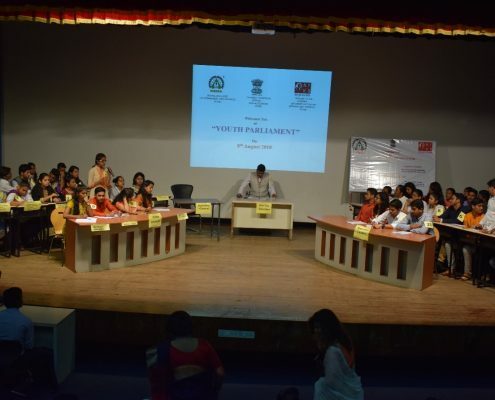 Advocate Shilpa Shelar was the judge for the event. 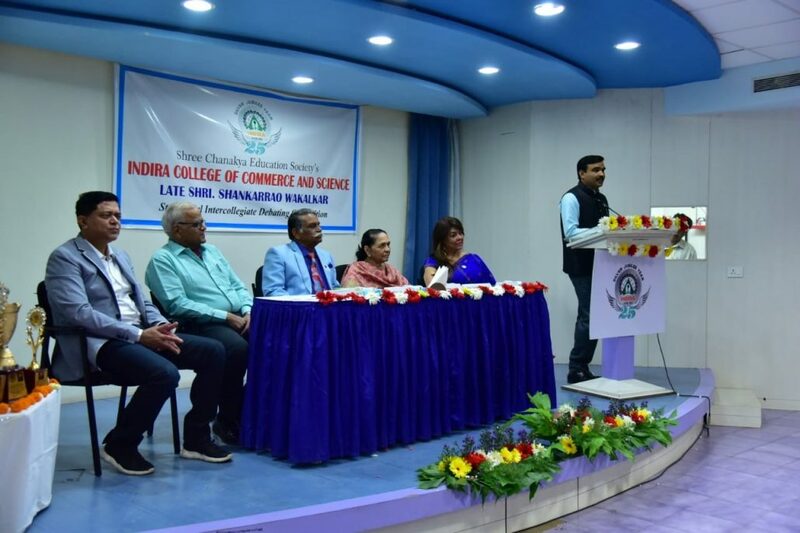 ‘ Audio Visual Advertisement ‘ was the 2nd event of Commerce week that took place on 9th January 2019. This event was based on the ‘social message’ as a theme. Twelve students participated in the event. Creative copies on topics like Women Empowerment, Gender Equality, Road Safety and Organ Donation were prepared by the students. The Advt. copy had a motivating impact on the audience. 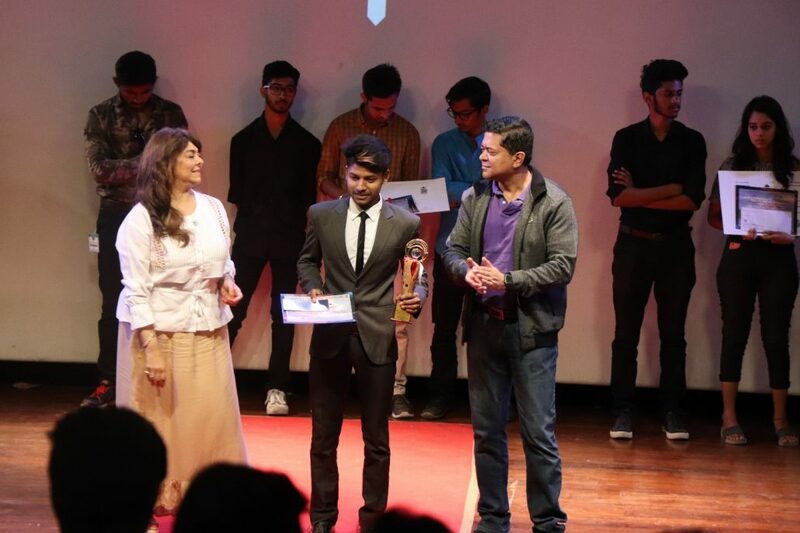 Prof. Anita Rathod from BBA Department and Prof. Vishal Verma from BBA- CA were the judges. 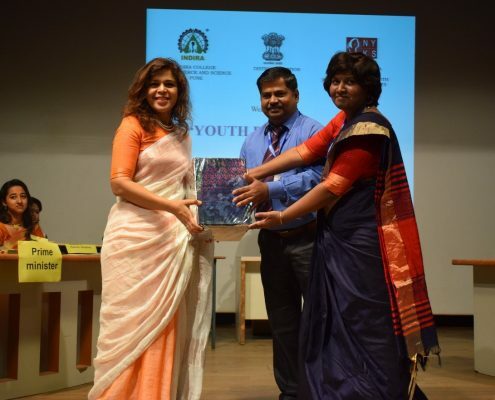 Dr. Santosh Kulkarni, Dr. Marceline Fernandes and Prof. Clifford D’souza co- ordinated the event. 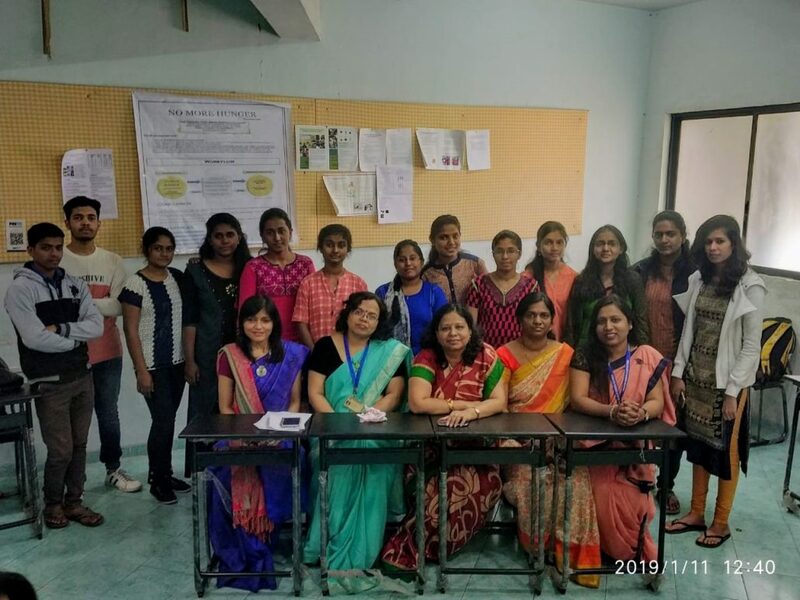 Indira Student Research Conference for UG and PG students was organized by ICCS on 10th January 2019. 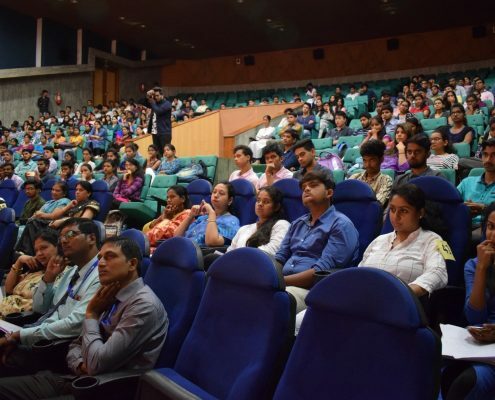 This event was conducted under the wings of Commerce Research Center and Research Cell. The response to this conference was excellent. 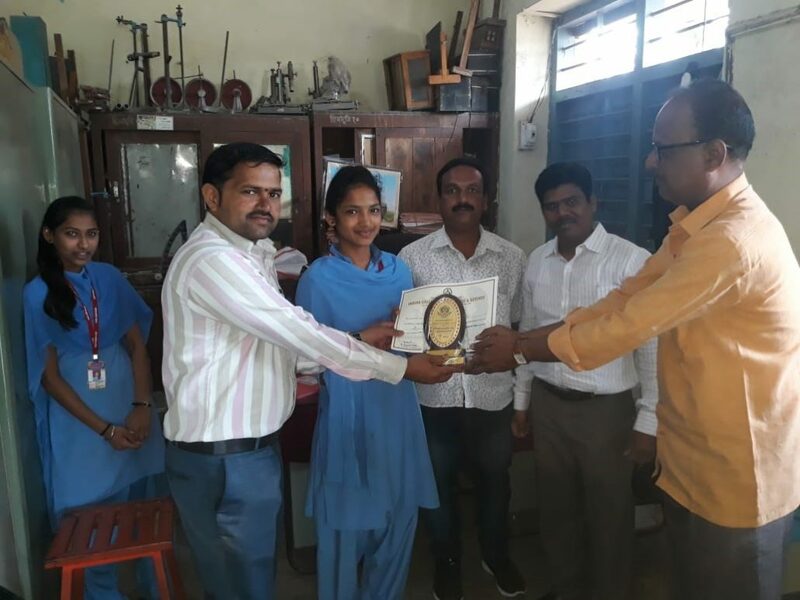 Ten papers were presented by students of different Colleges. 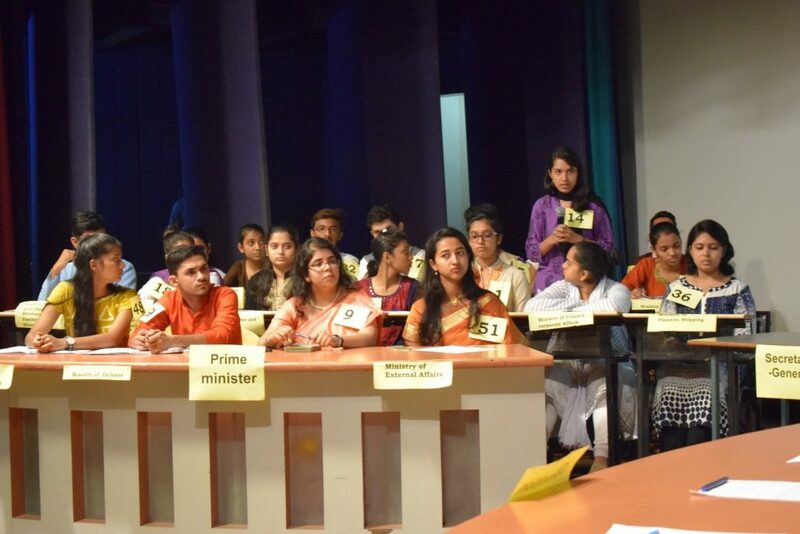 Prof. Monika Kulkarni from Balaji College of Arts, Science & Commerce and Dr. Nalanda Wani from ICCS were the judges . 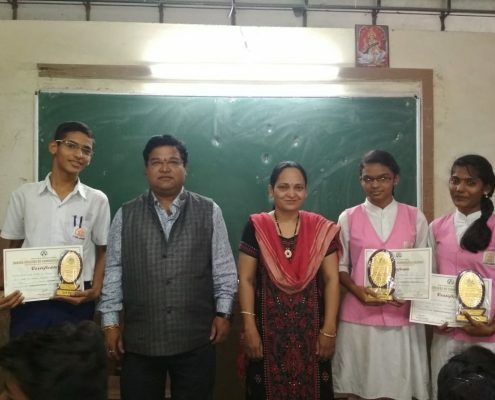 Priyal Kasera and Rounak Reddy from Symbiosis College bagged the first prize, Sanika Sohoni from Modern College emerged as the second winner and Shyam Sen from Symbiosis won the third prize. 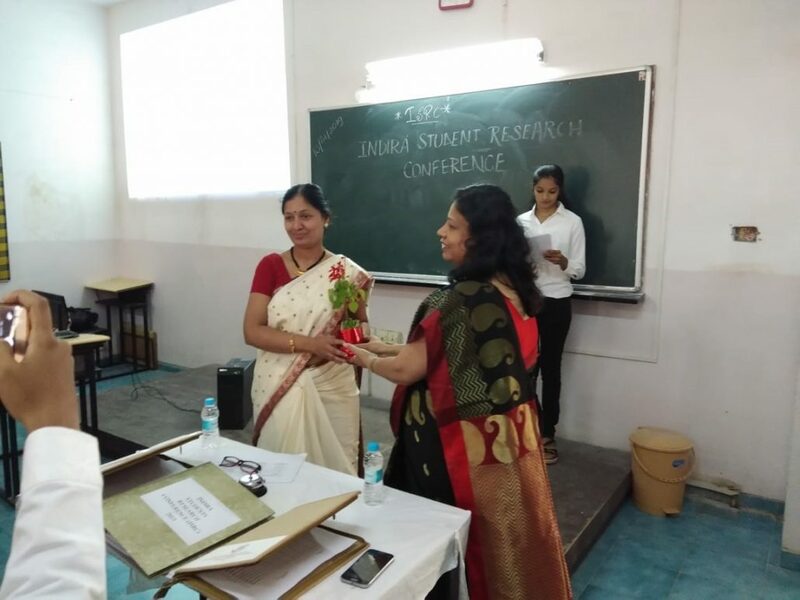 Prof. Vinita Shrivastava and Prof. Yogita Sutar co- ordinated the event. 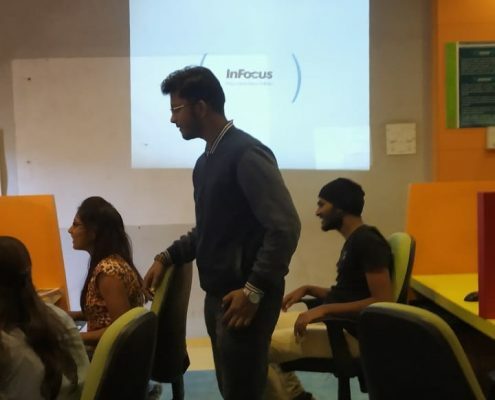 ‘ Logo Design ‘ was the fourth event that took place on 11th January 2019. Ten groups participated in the competition. 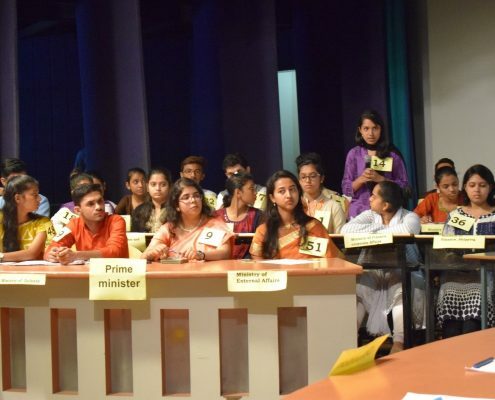 Prof. Vinita Shrivastava and Miss Komal Loat were the judges. Prof. Thomson Varghese and Prof. Bharat Nagargoje were the co-ordinators of the event. 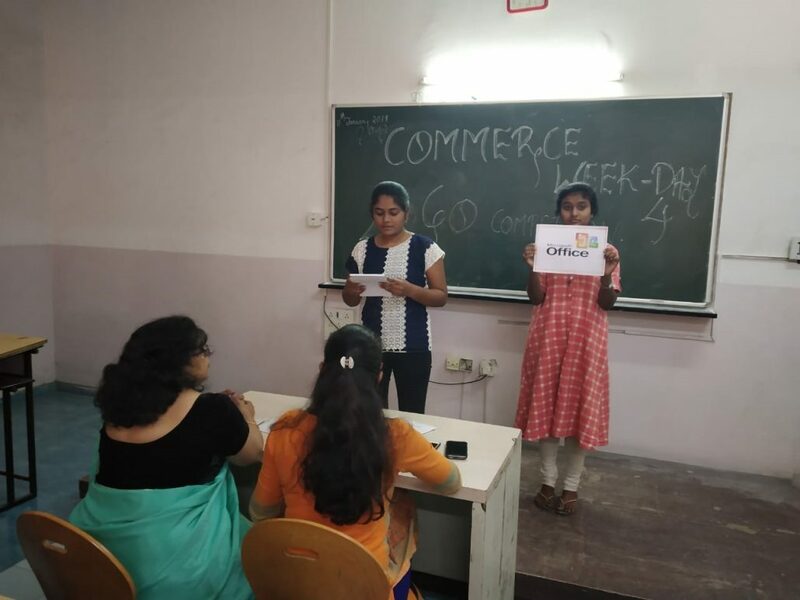 ‘Insights to Avishkar ‘ was the fifth event of Commerce Week that took place on 11th January 2019. The event was marked by a display of research papers by students who had participated in the competition . 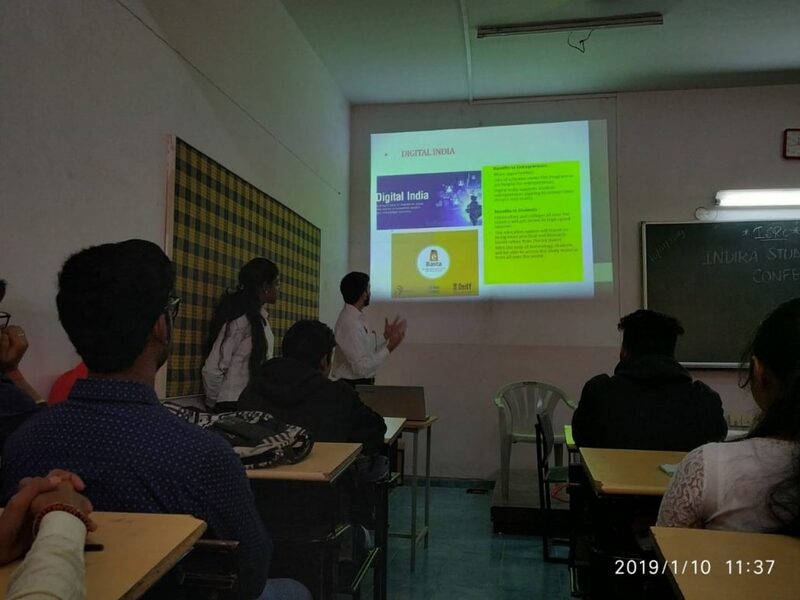 The students shared their experiences of participation and guided the other students present with valuable tips and hints about writing research paper for Avishkar . Prof. Ratna More was the co-ordinator of the event. Thanks to Dr. Janardan Pawar for his perpetual support and guidance and making this Commerce Week a success.